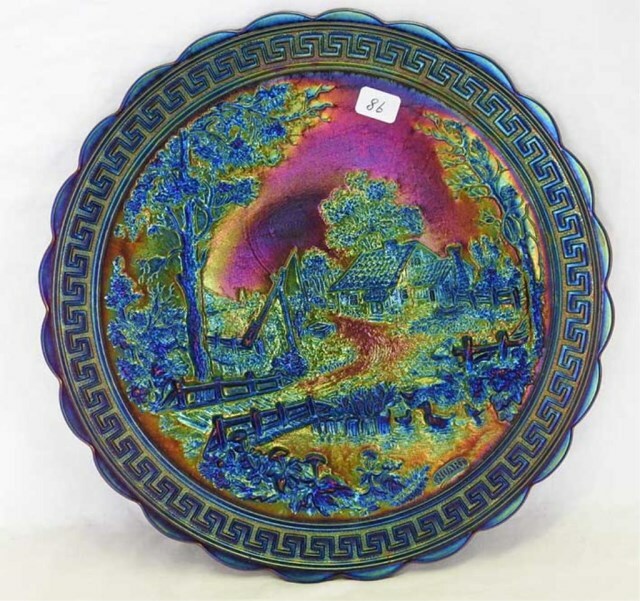 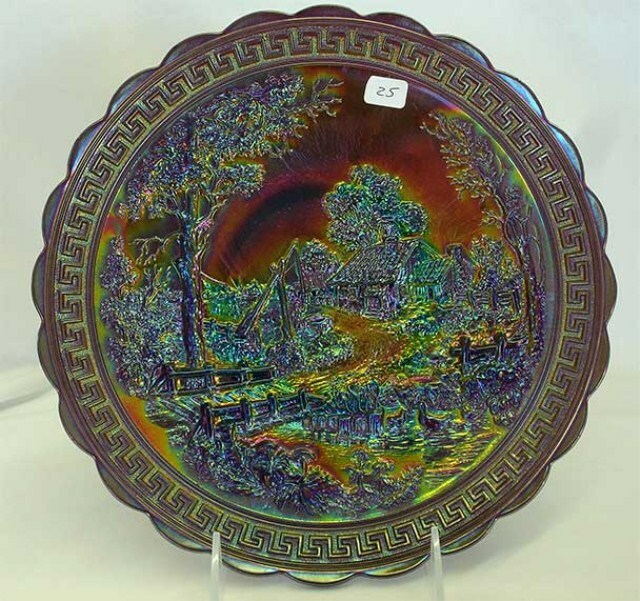 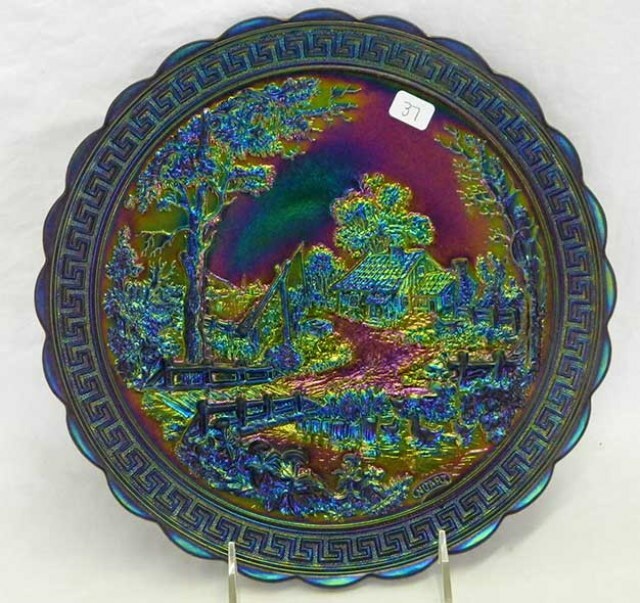 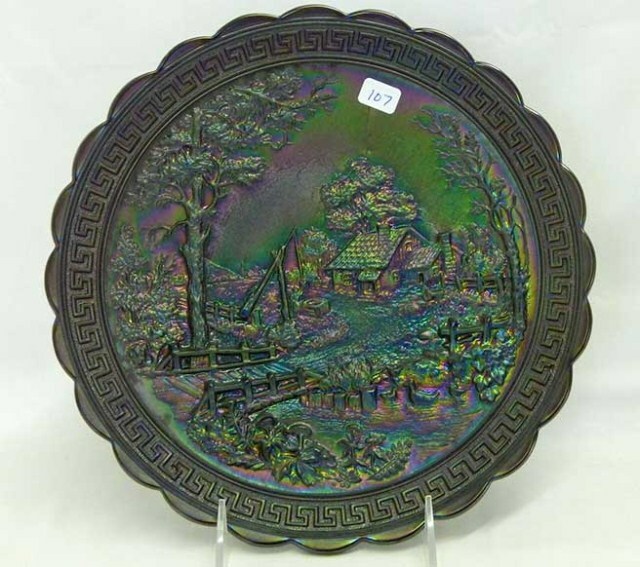 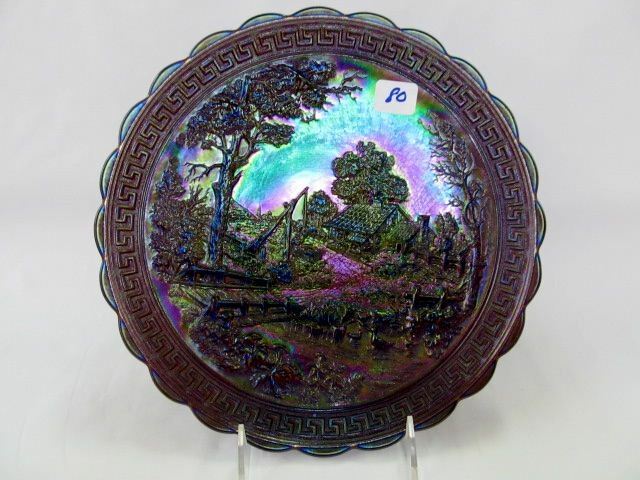 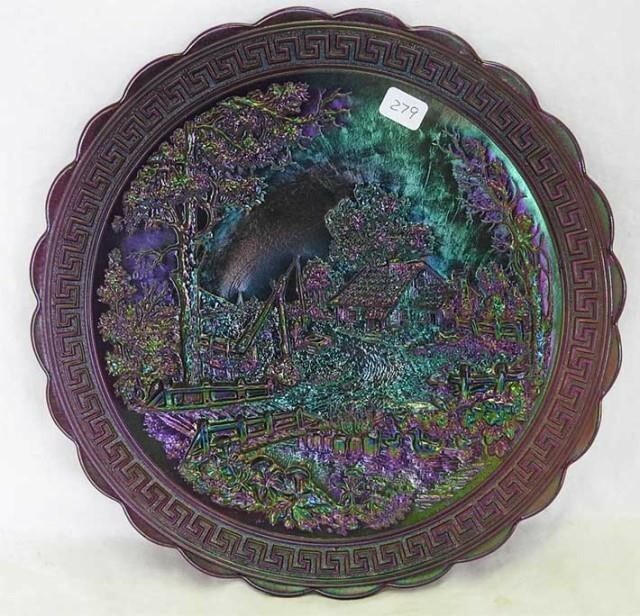 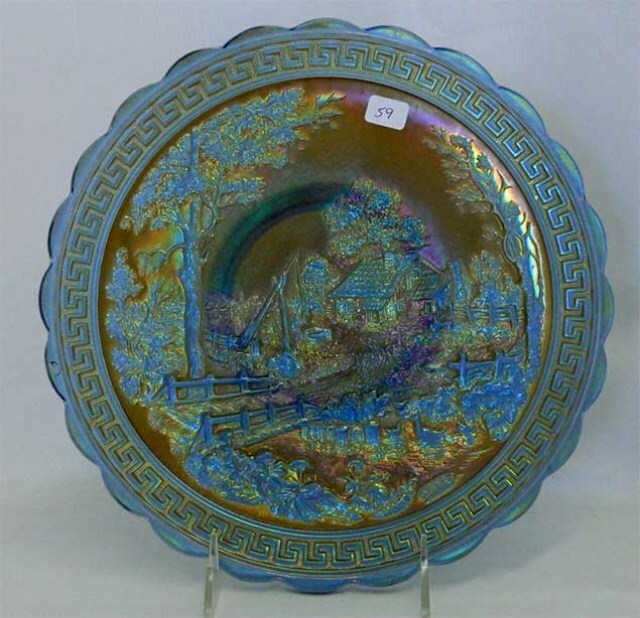 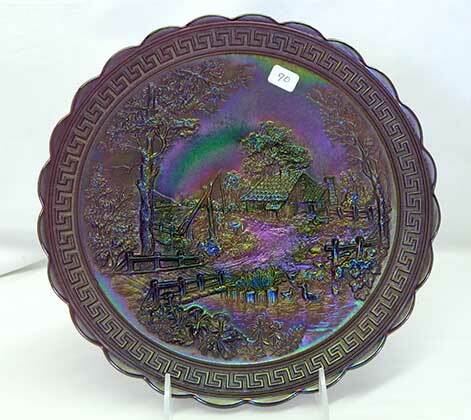 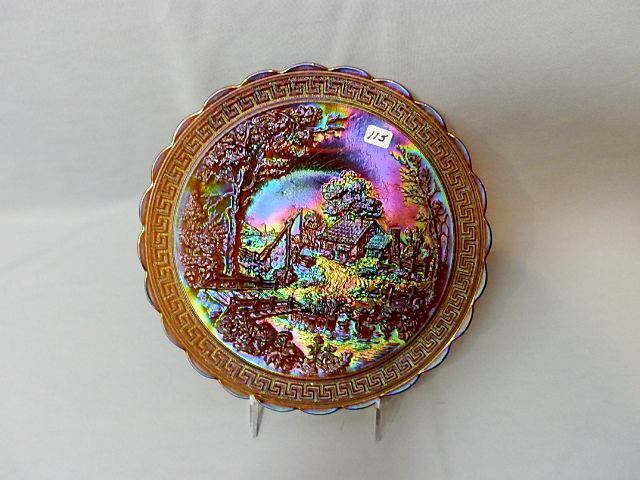 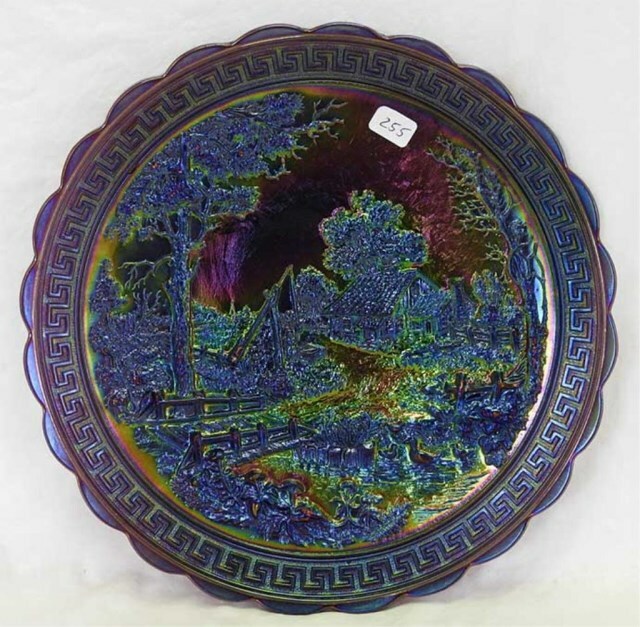 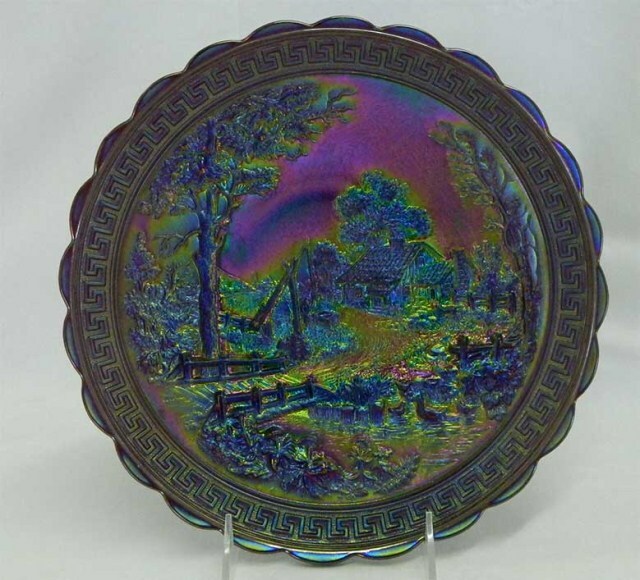 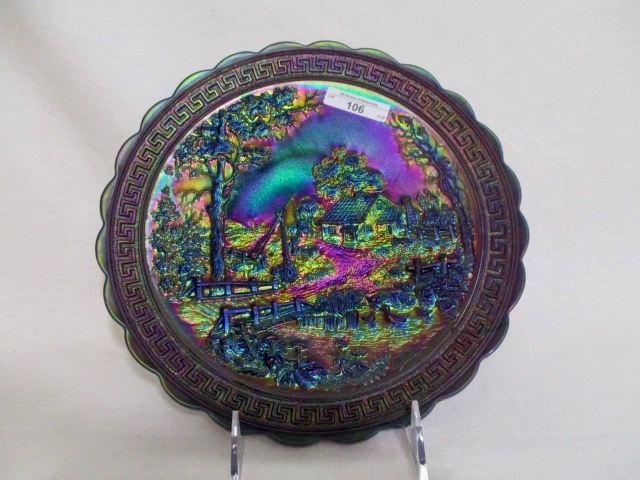 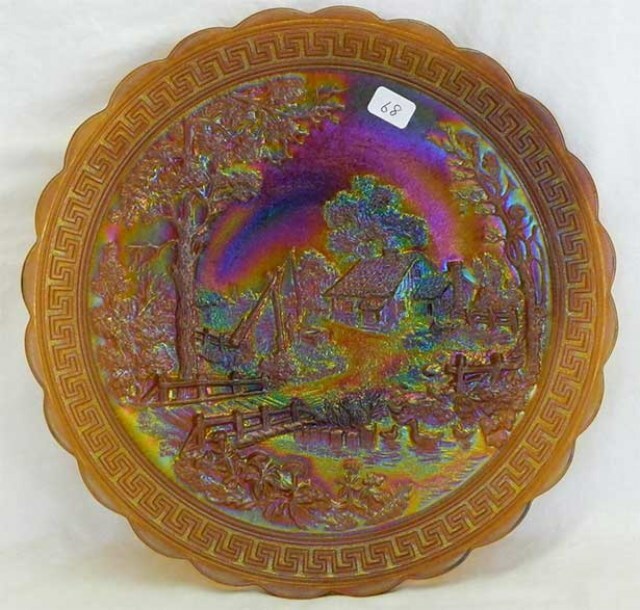 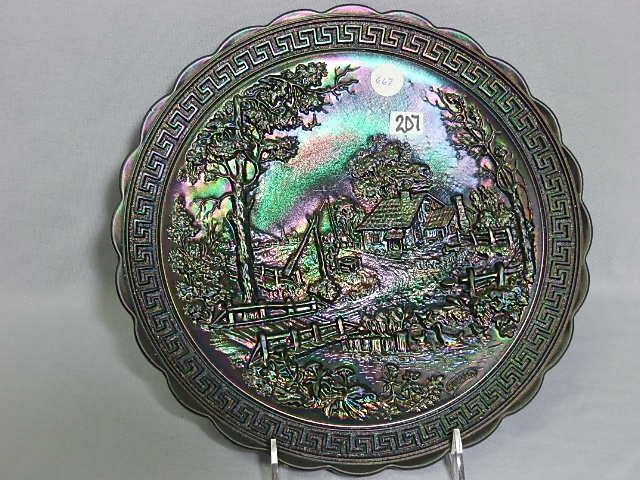 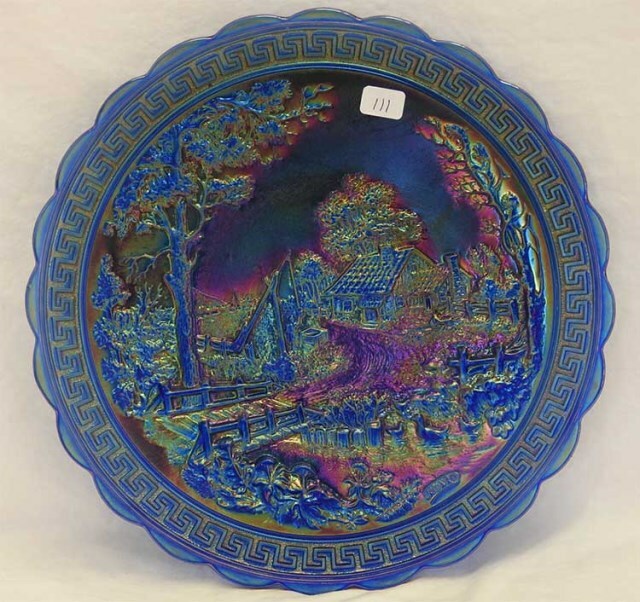 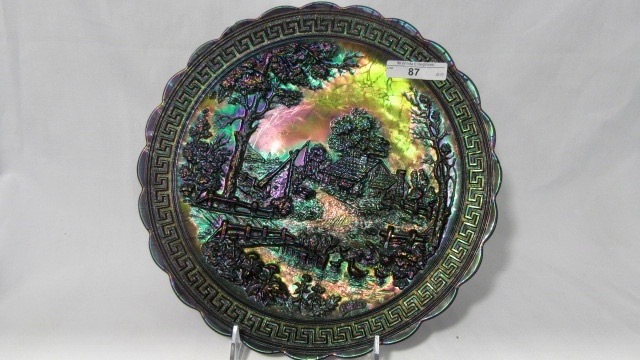 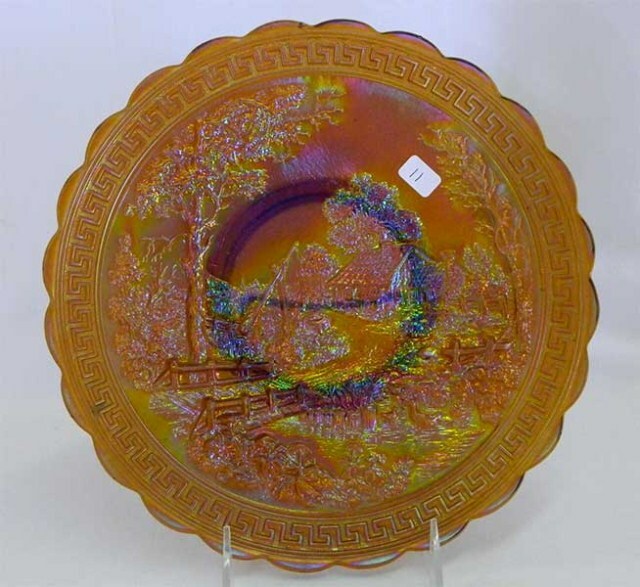 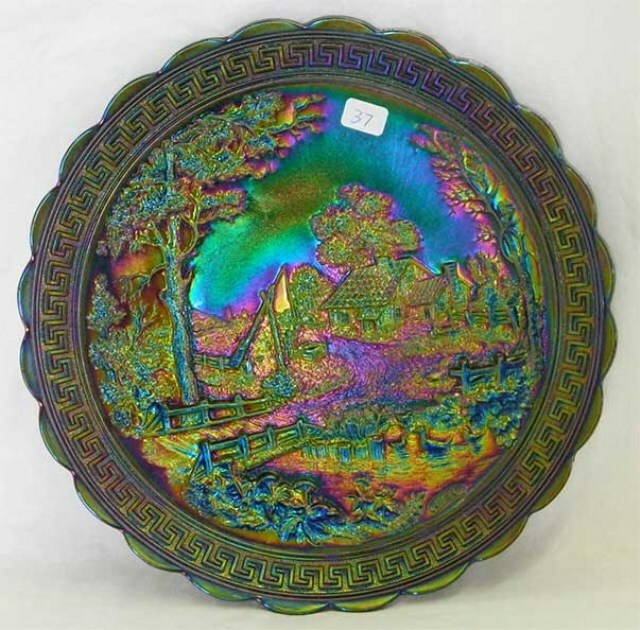 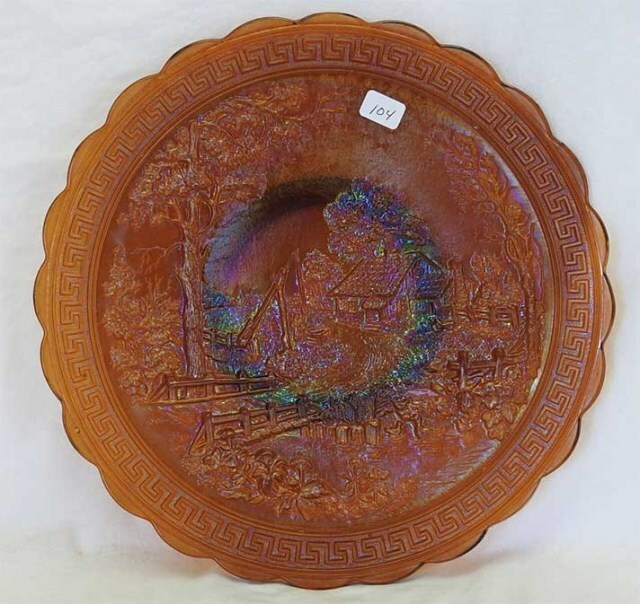 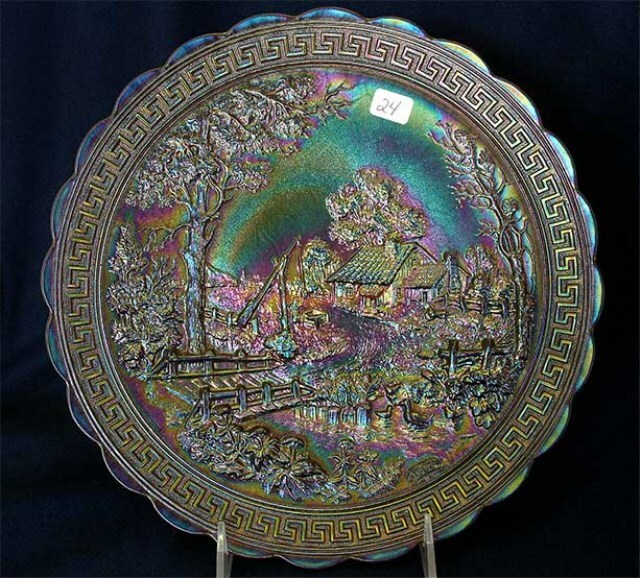 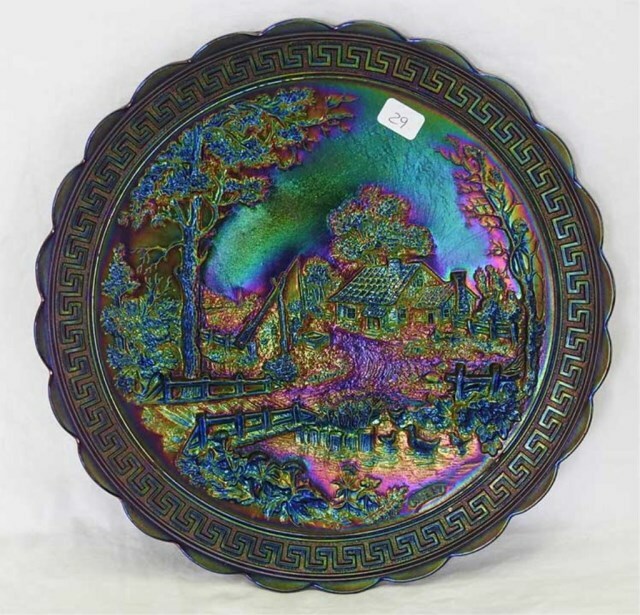 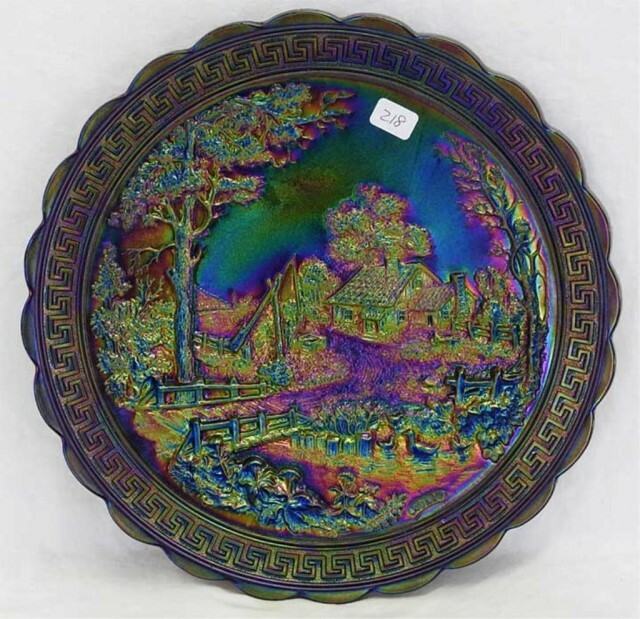 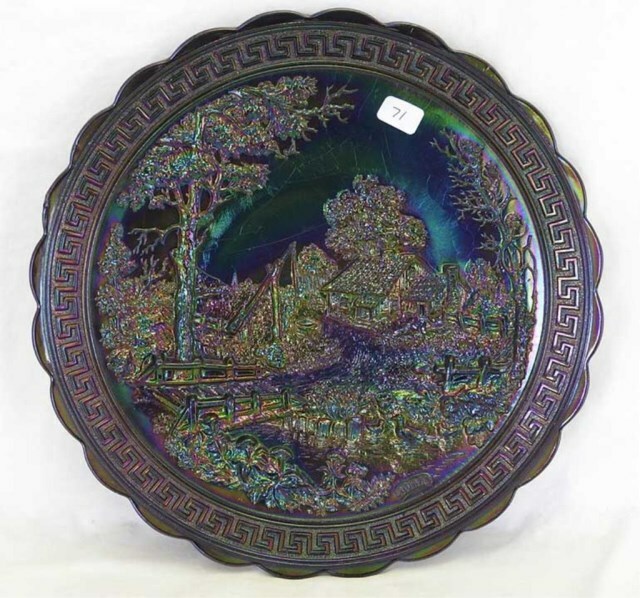 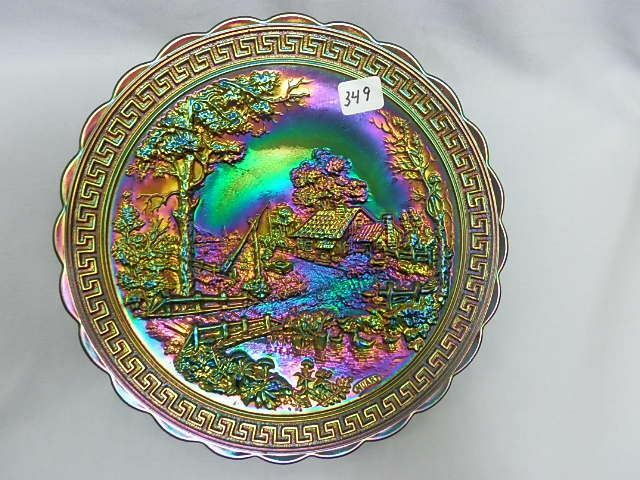 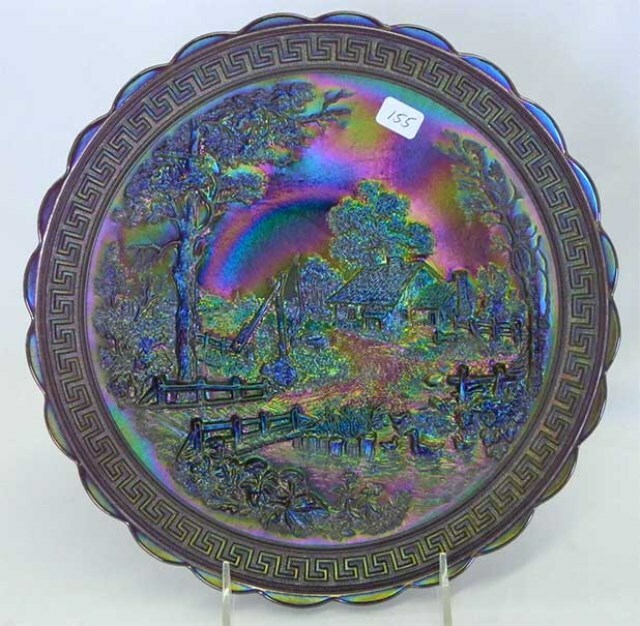 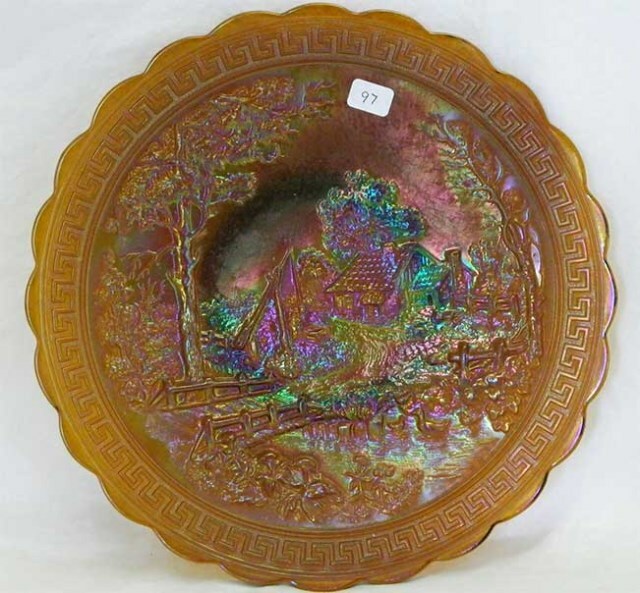 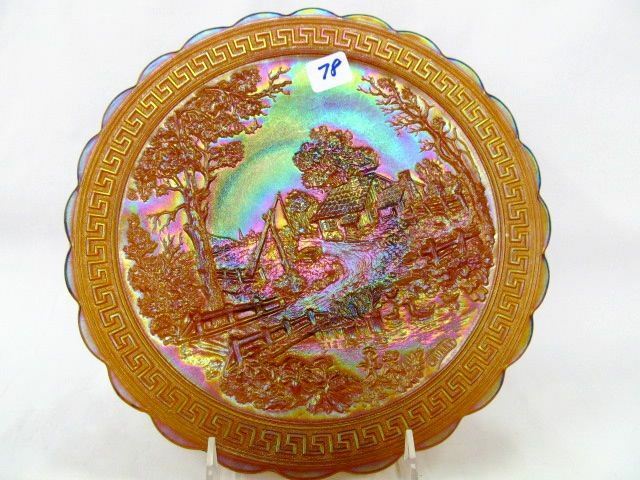 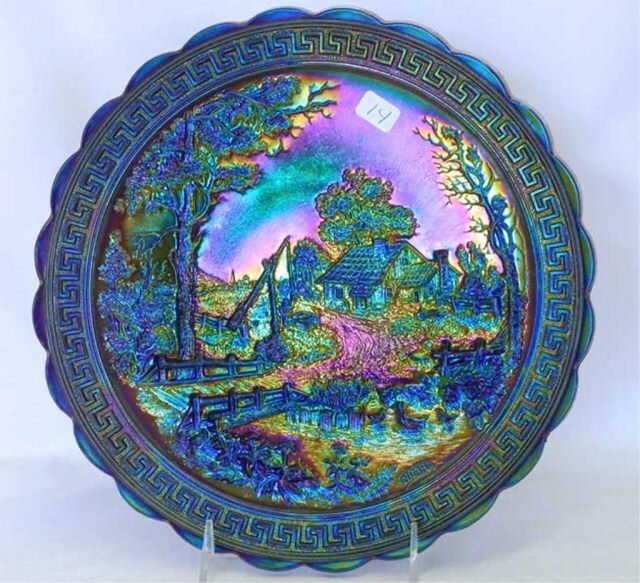 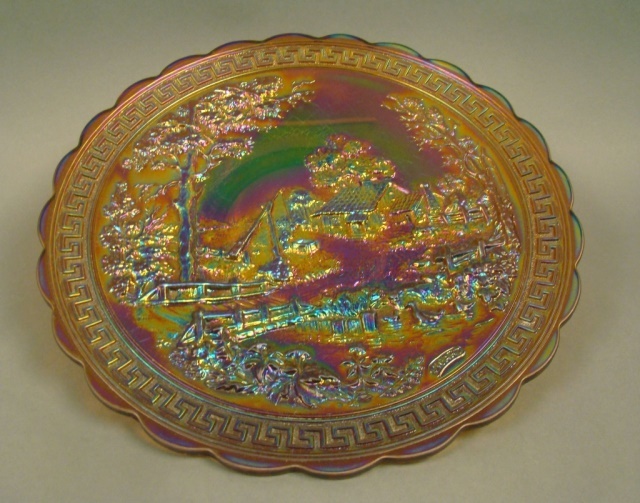 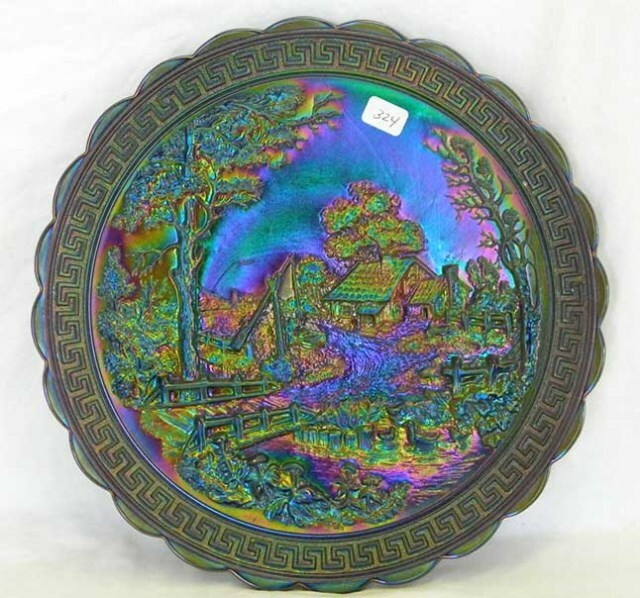 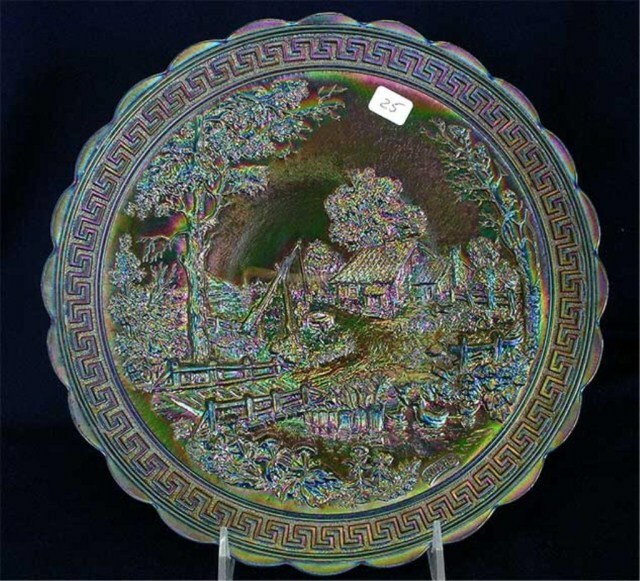 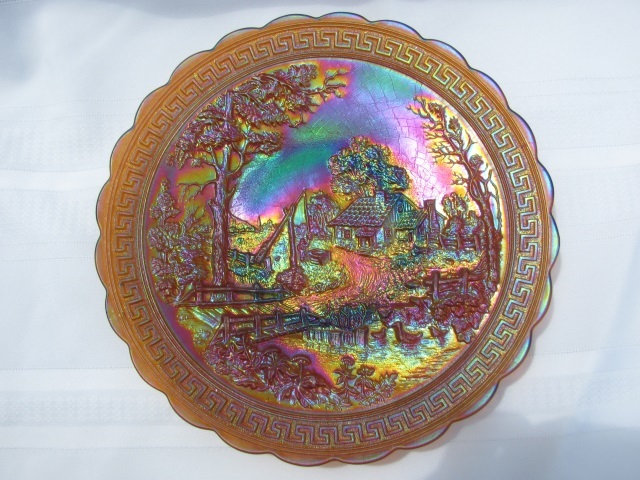 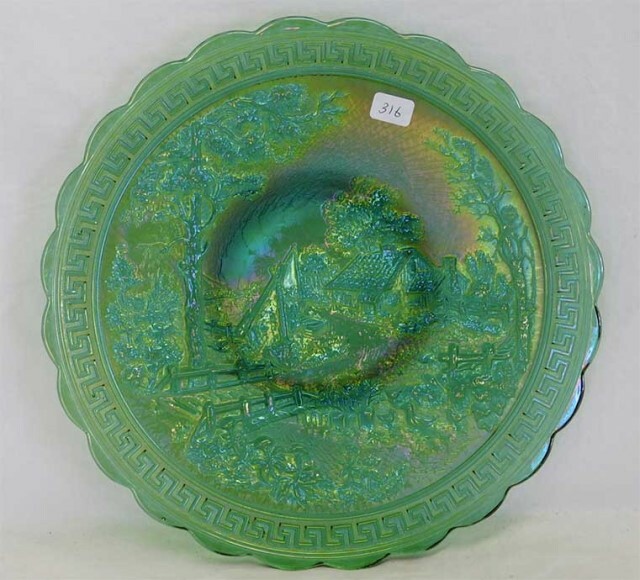 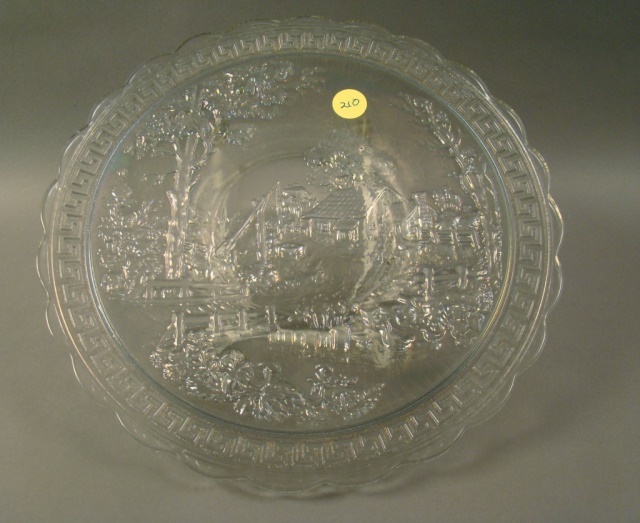 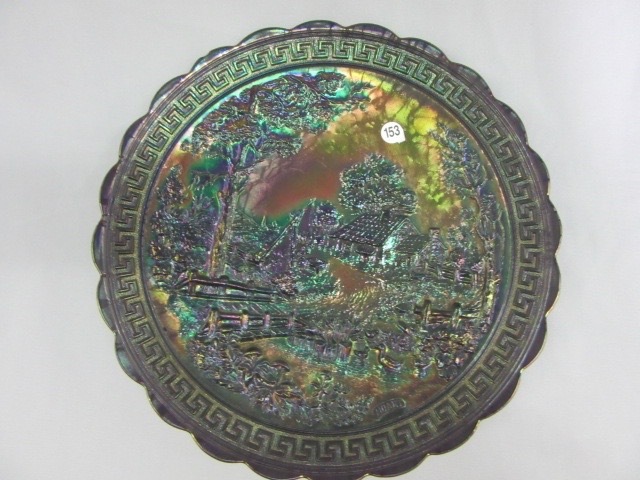 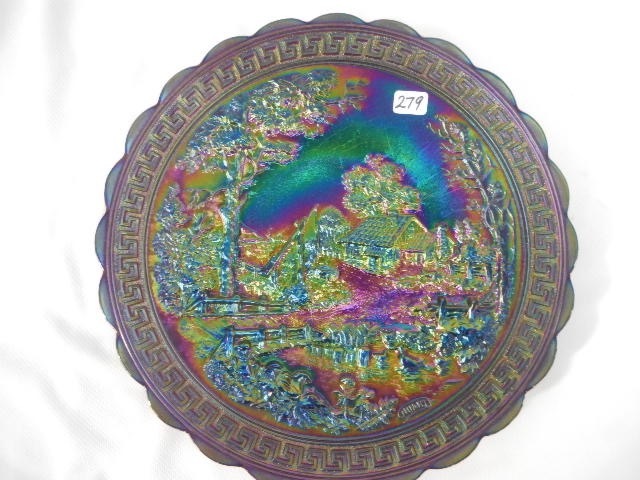 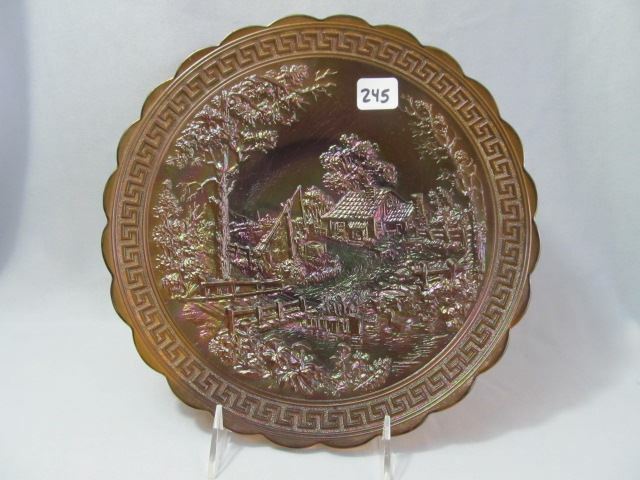 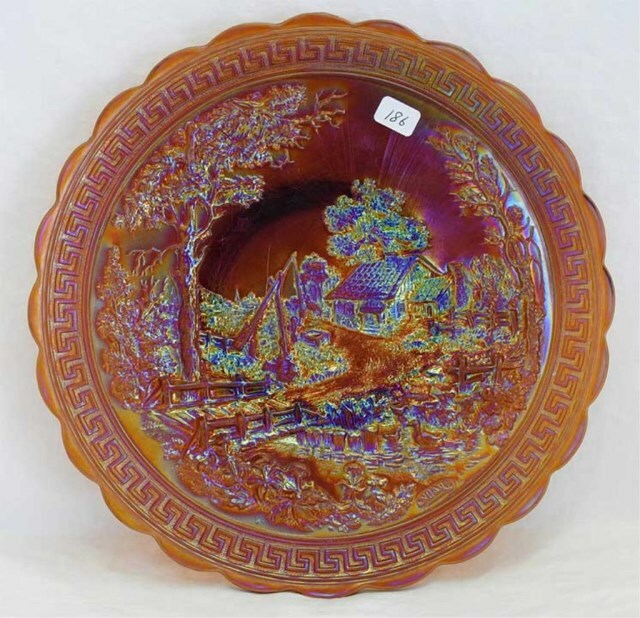 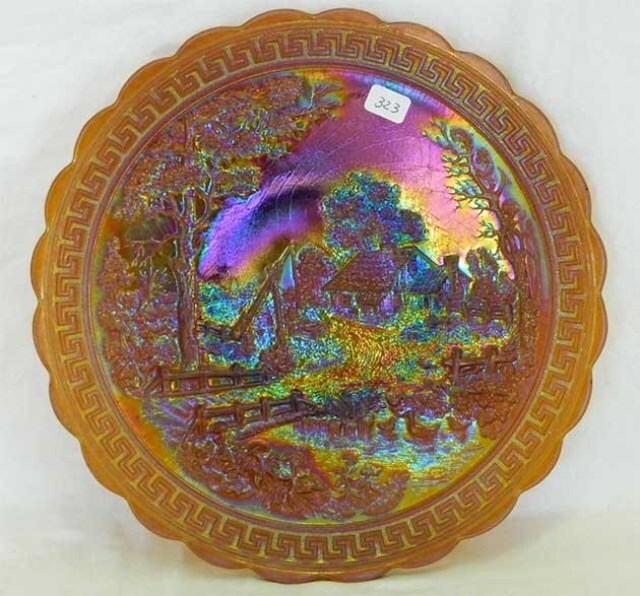 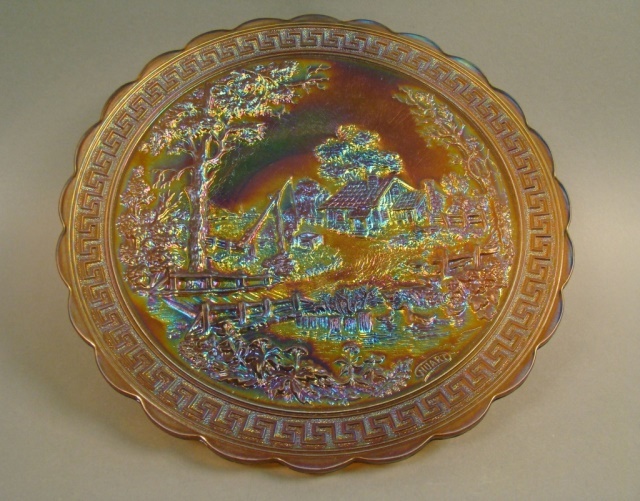 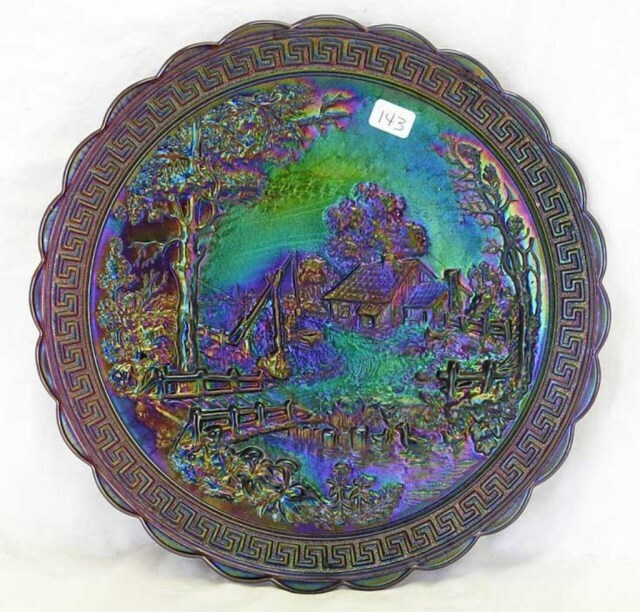 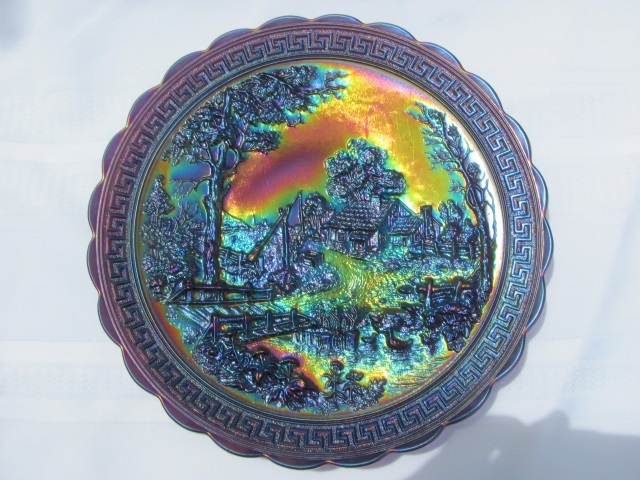 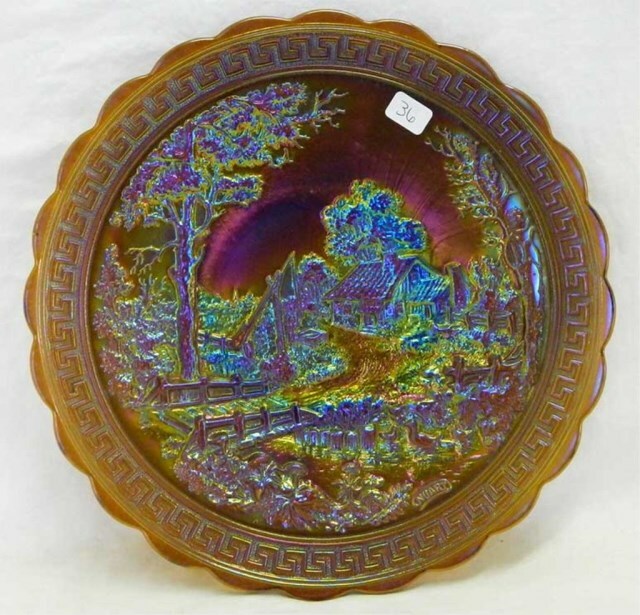 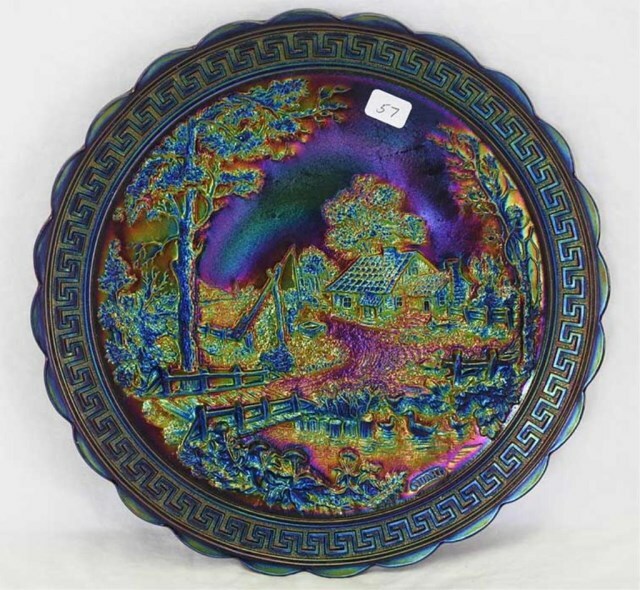 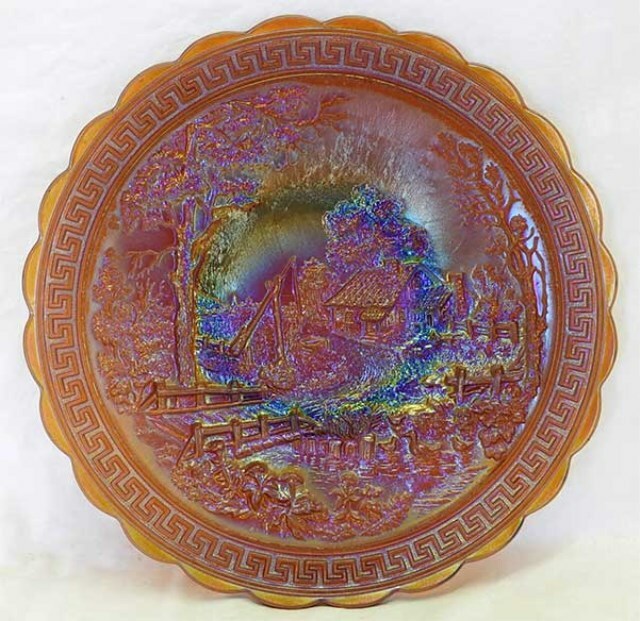 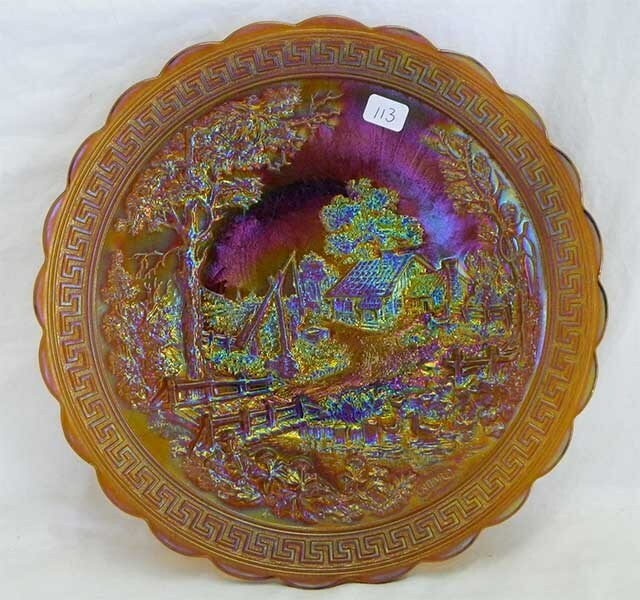 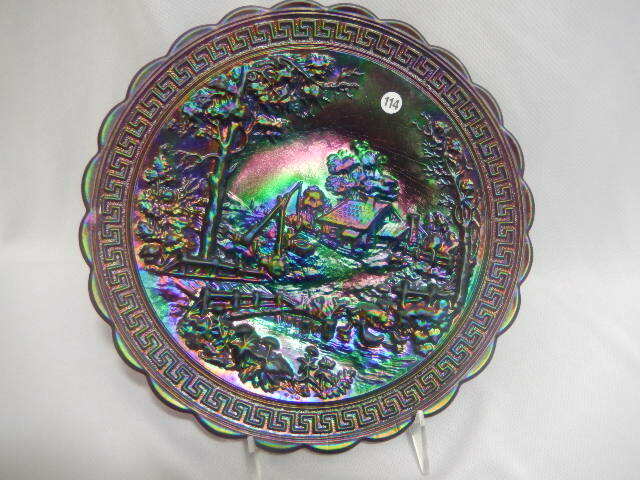 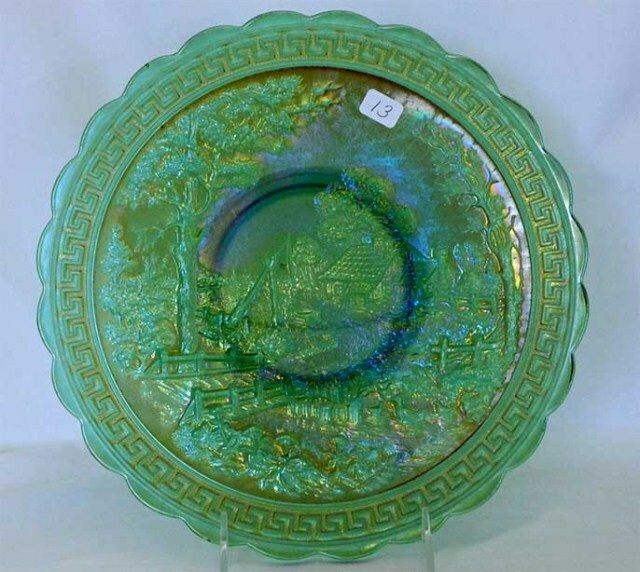 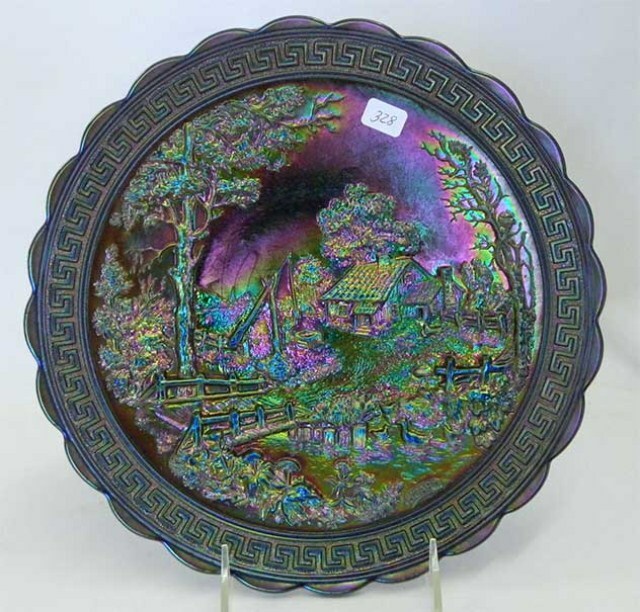 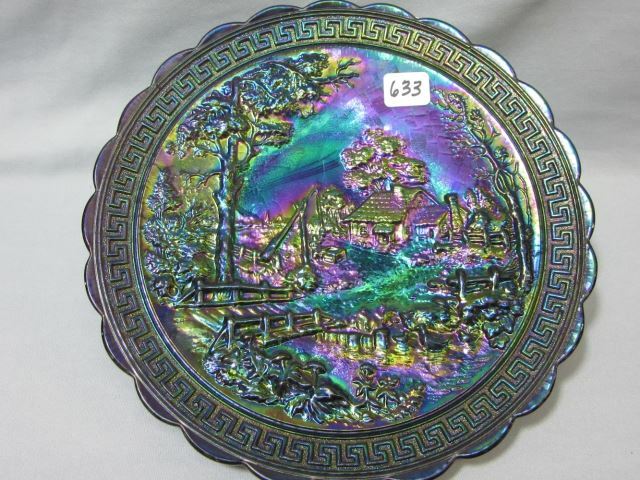 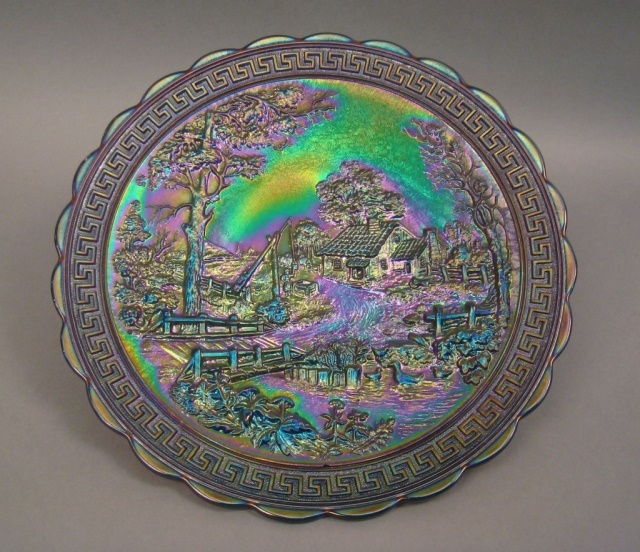 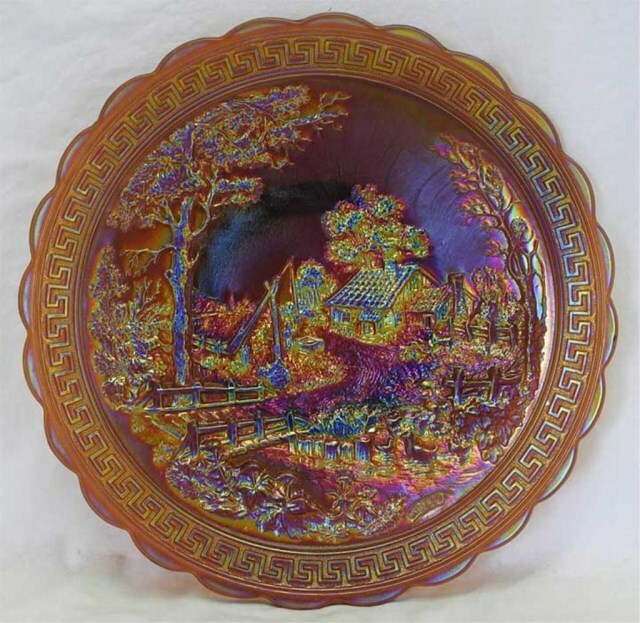 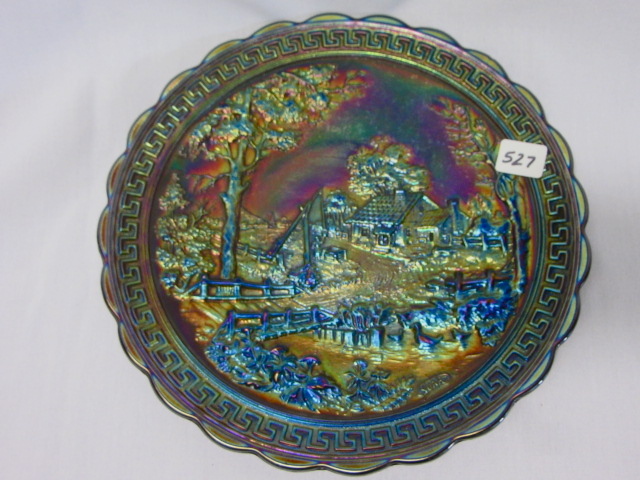 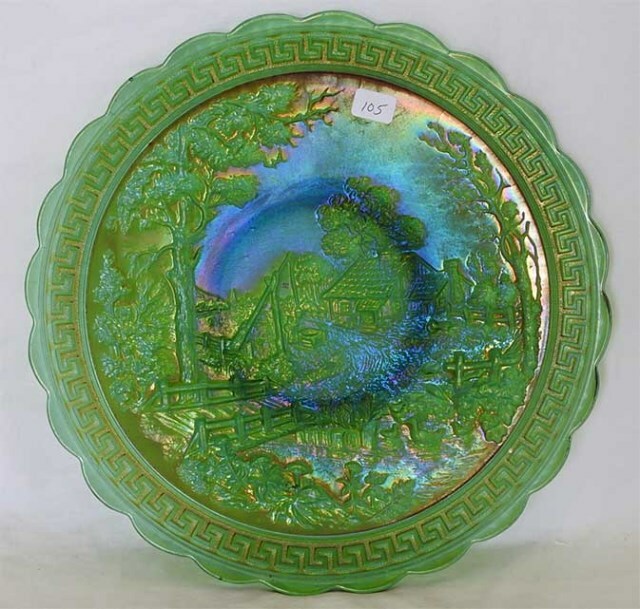 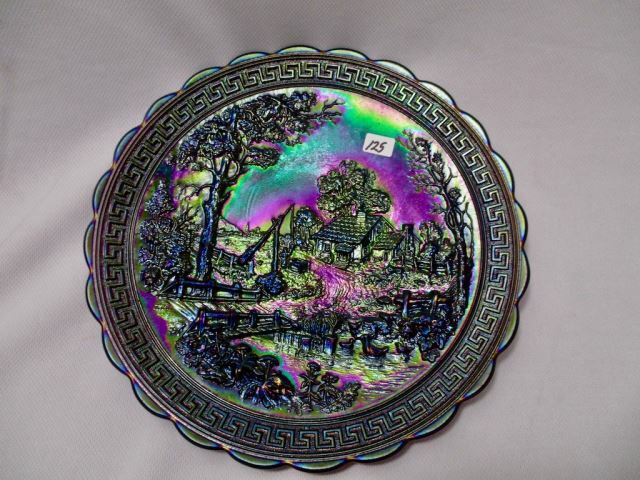 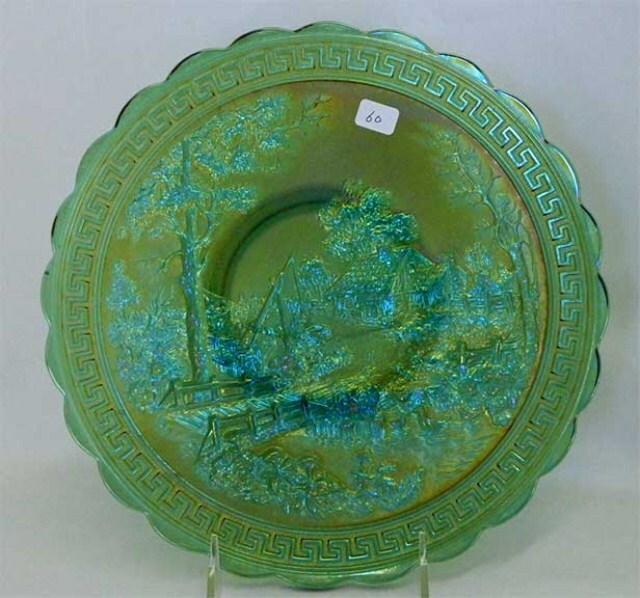 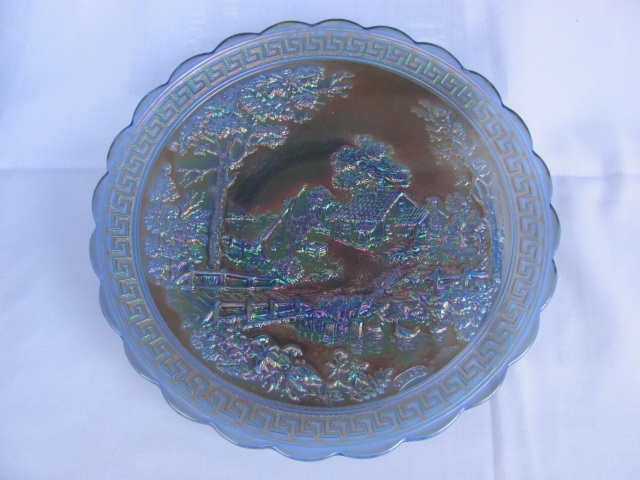 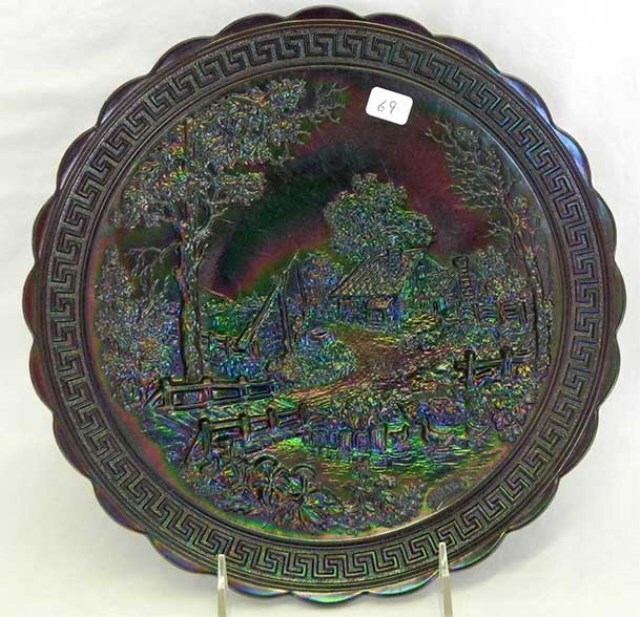 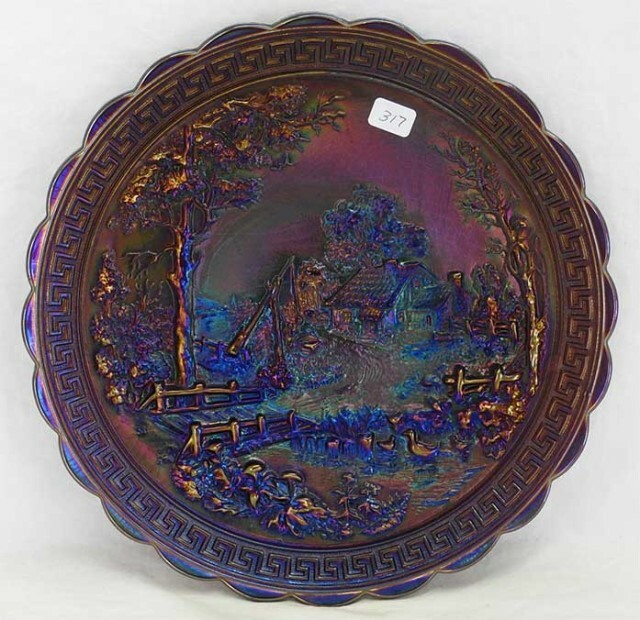 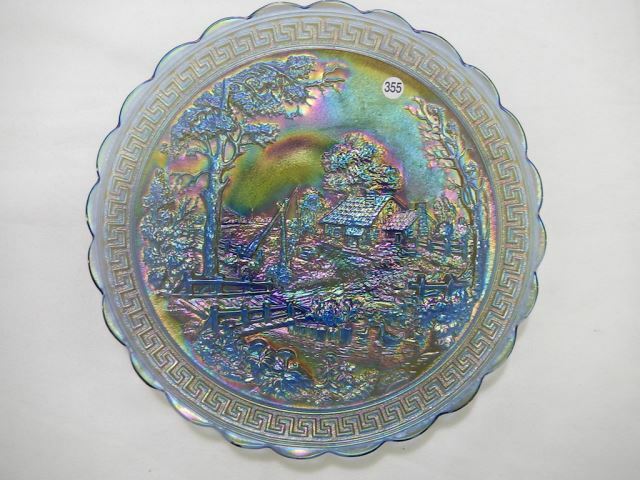 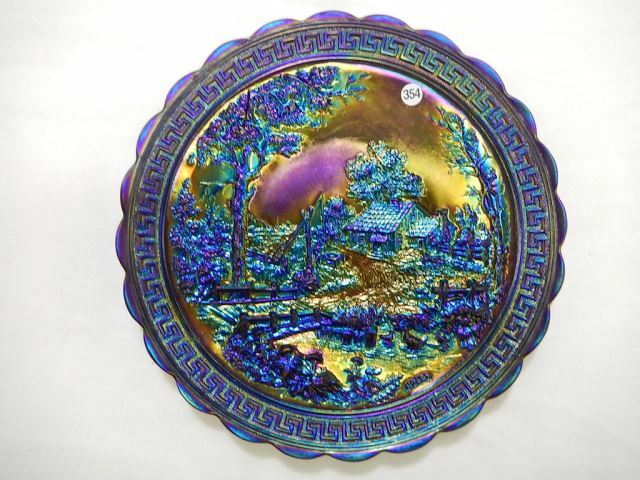 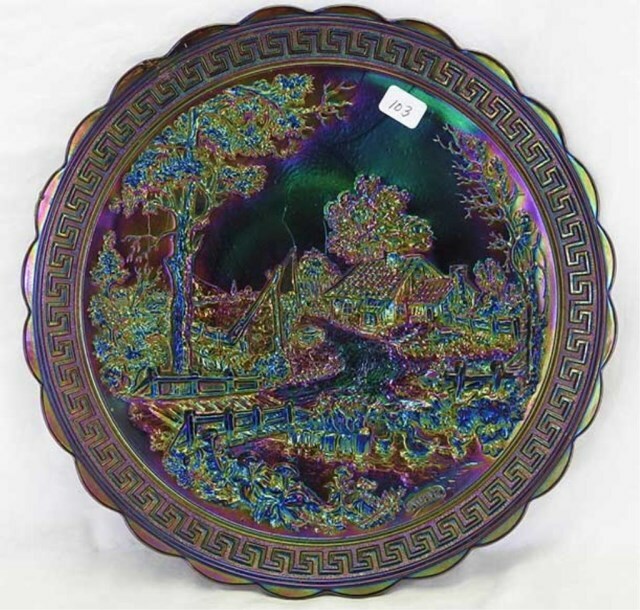 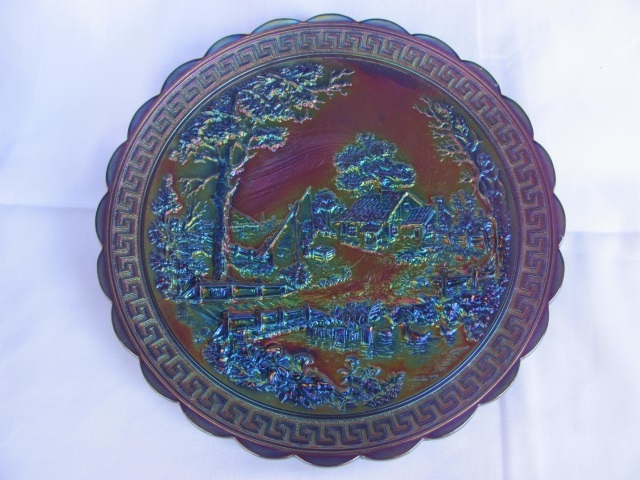 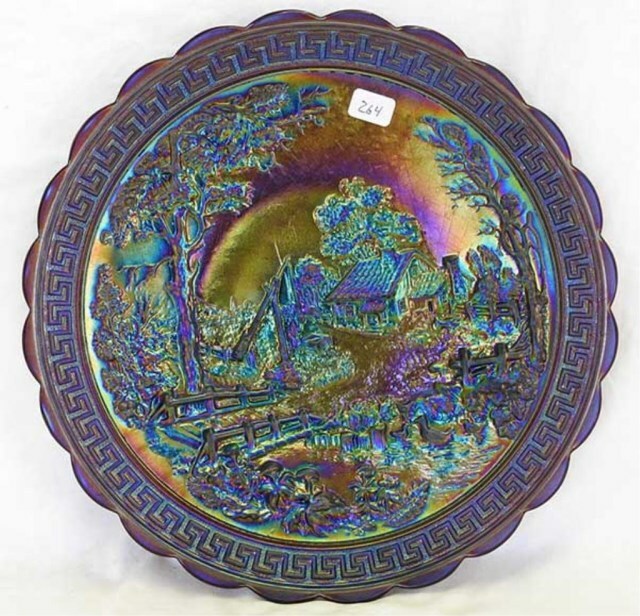 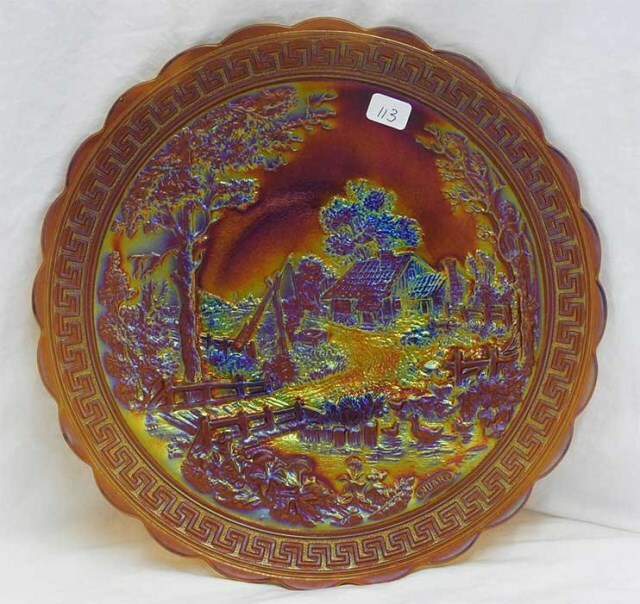 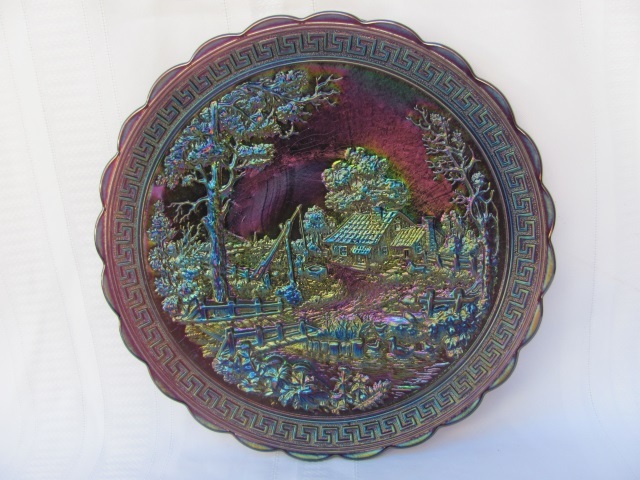 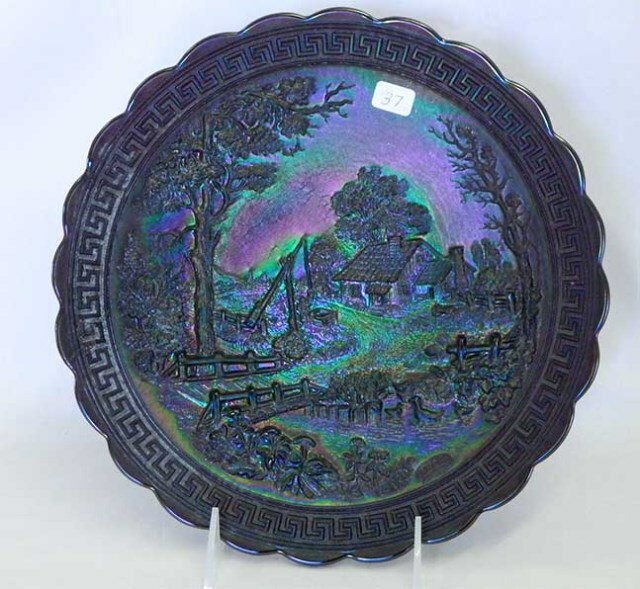 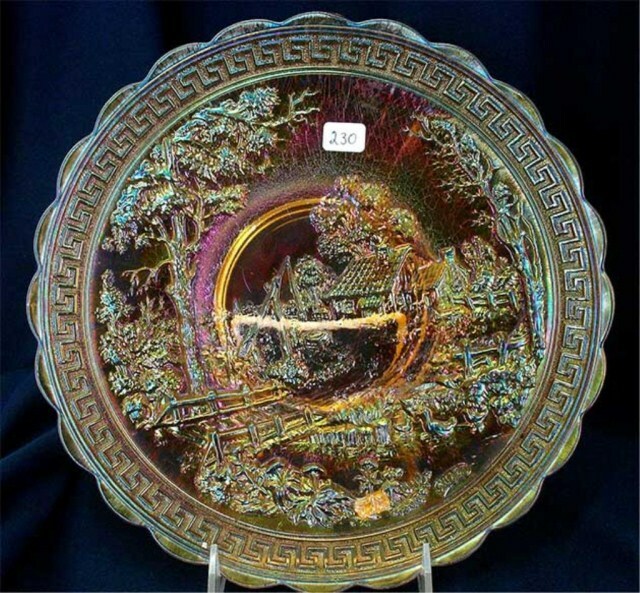 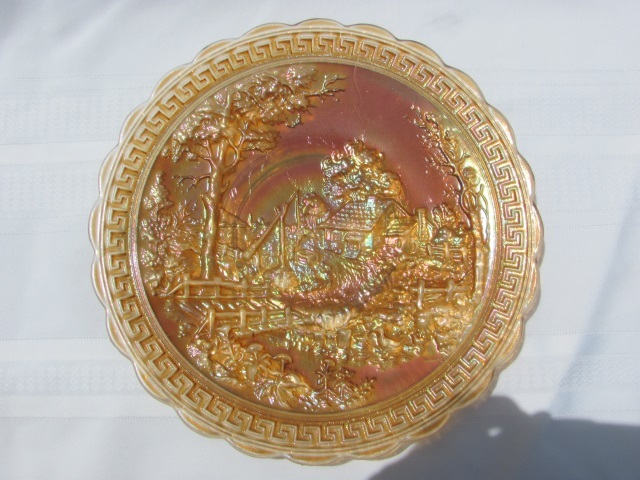 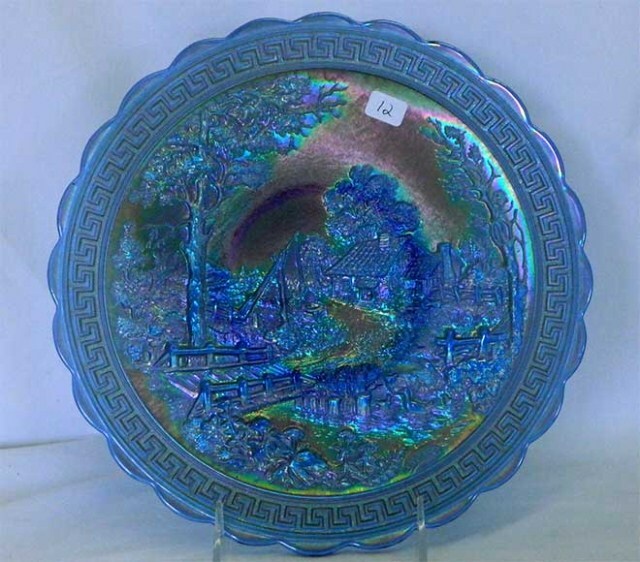 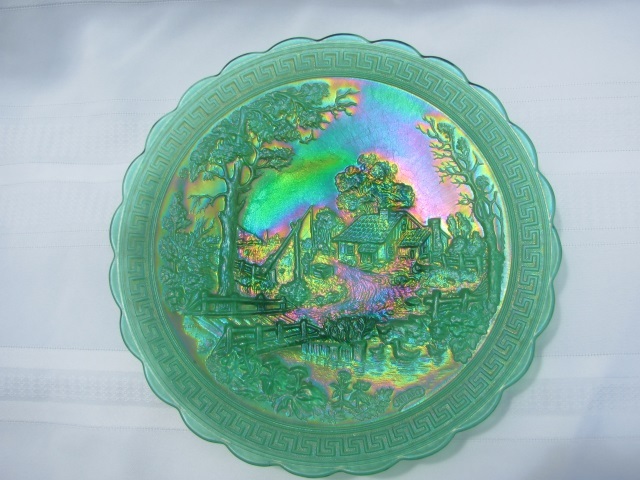 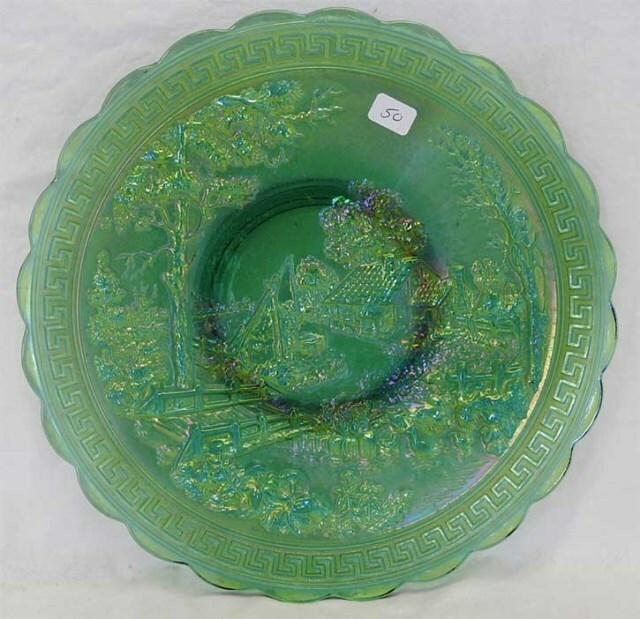 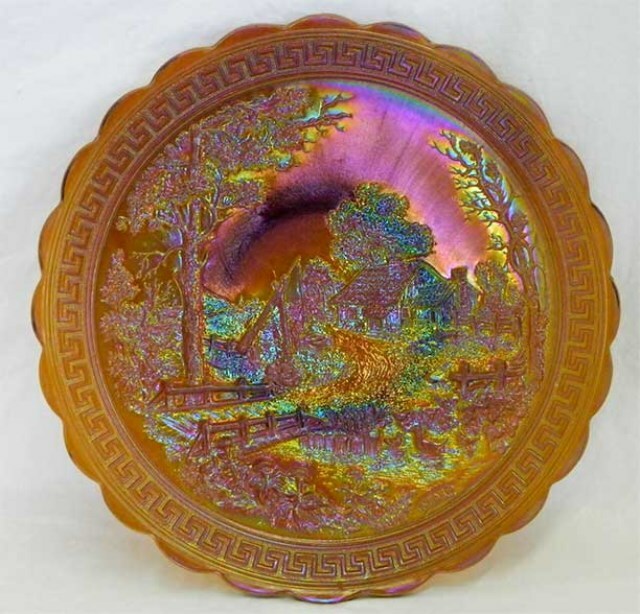 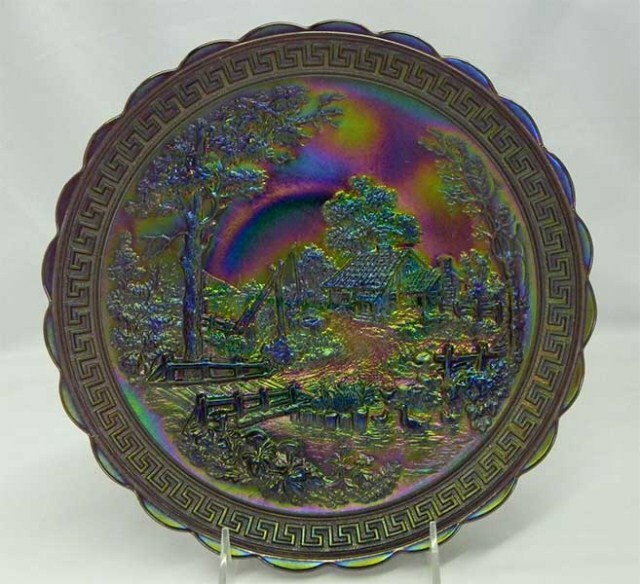 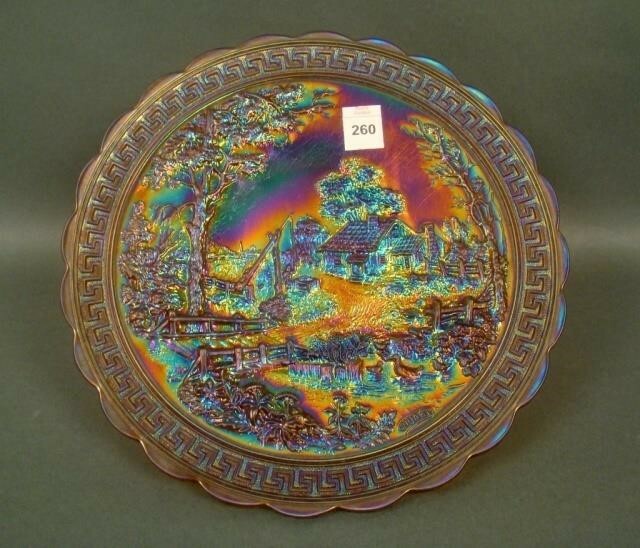 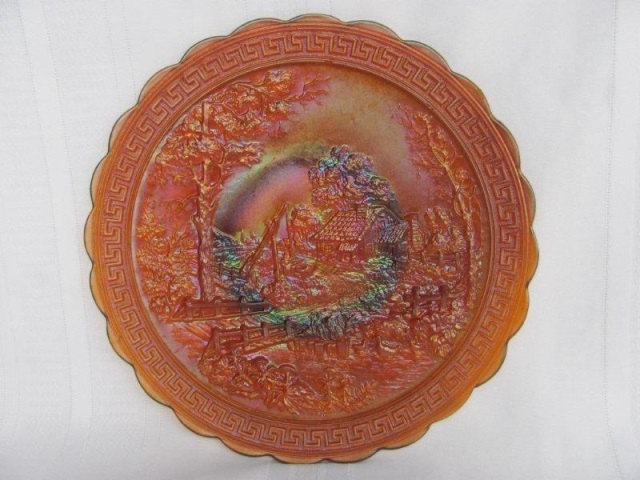 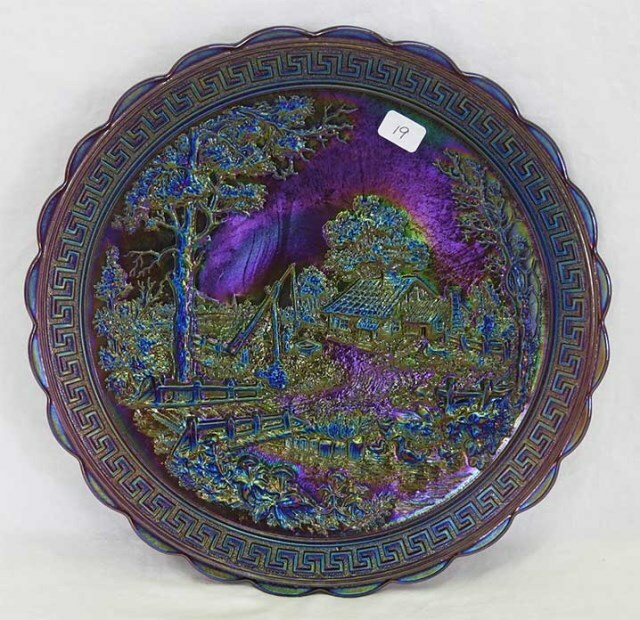 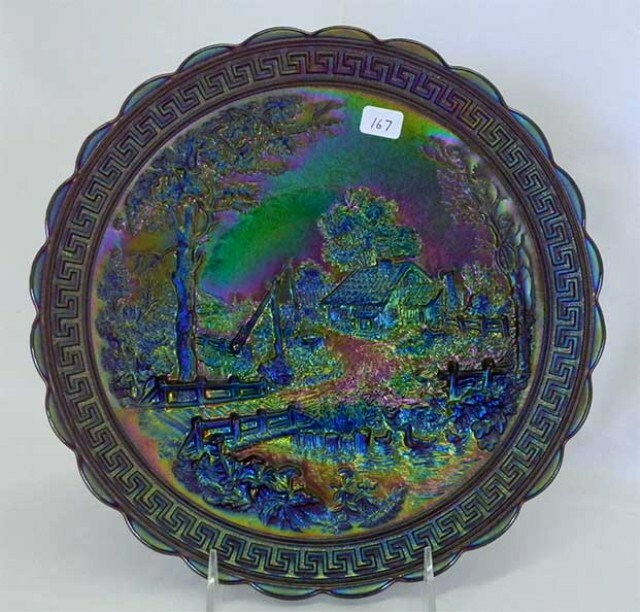 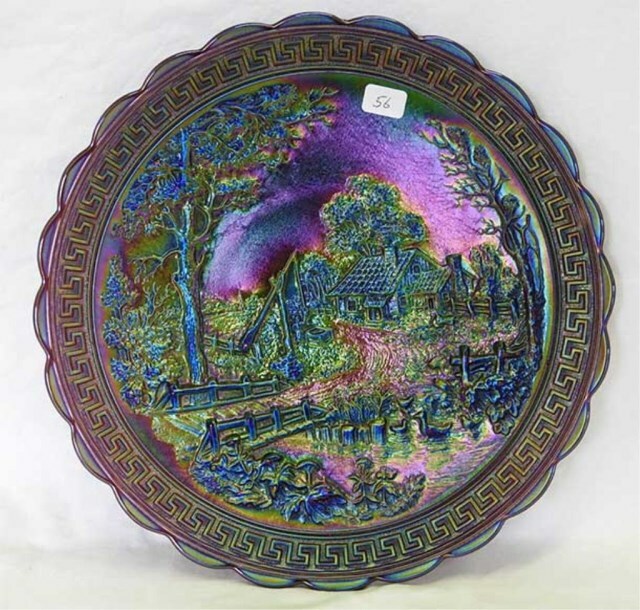 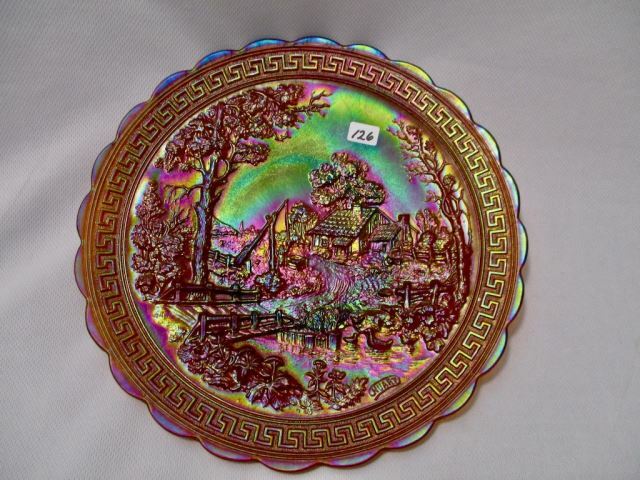 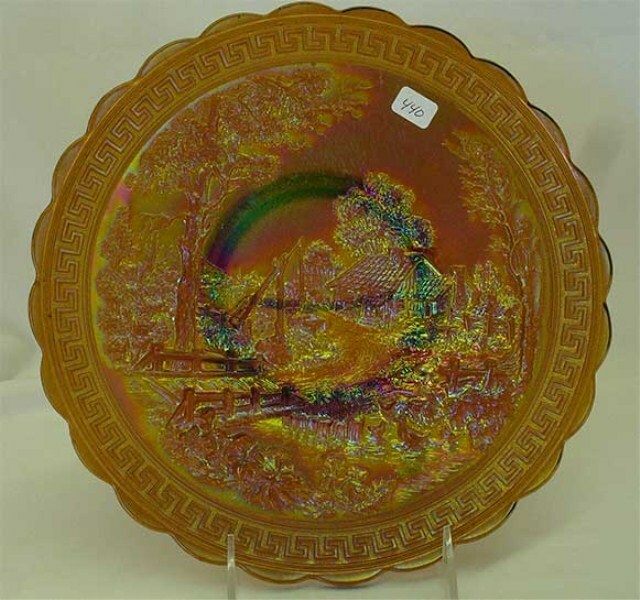 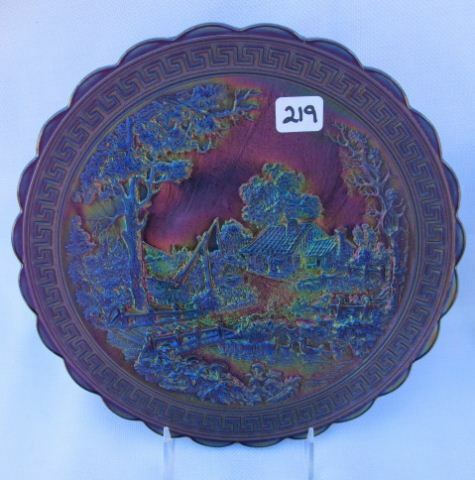 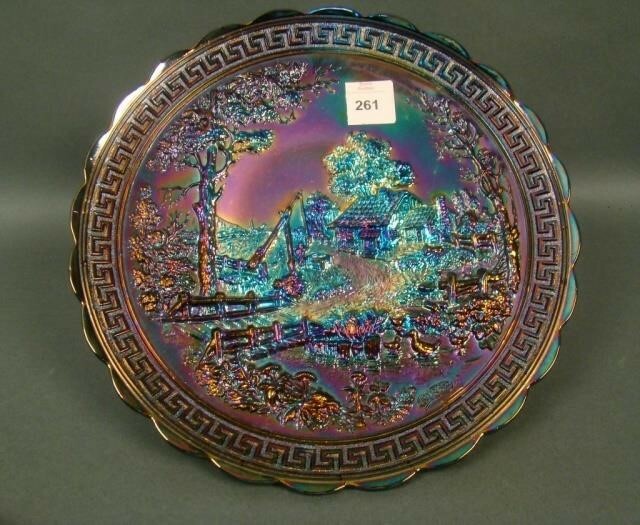 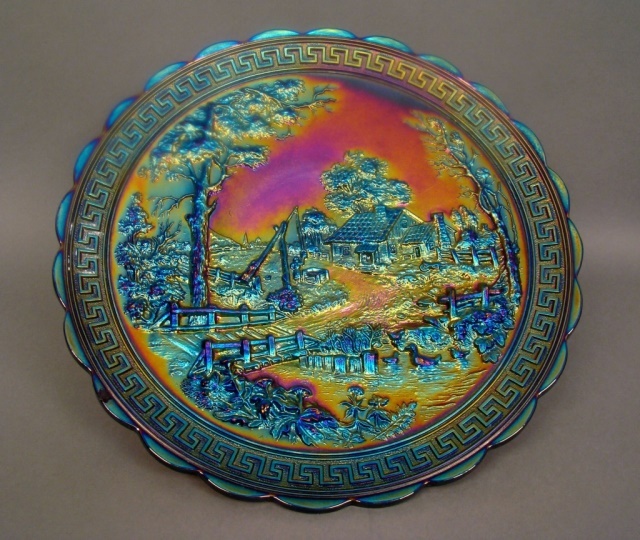 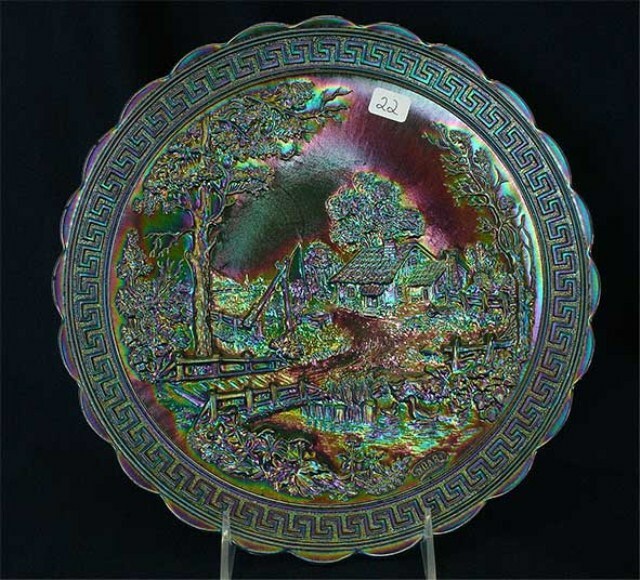 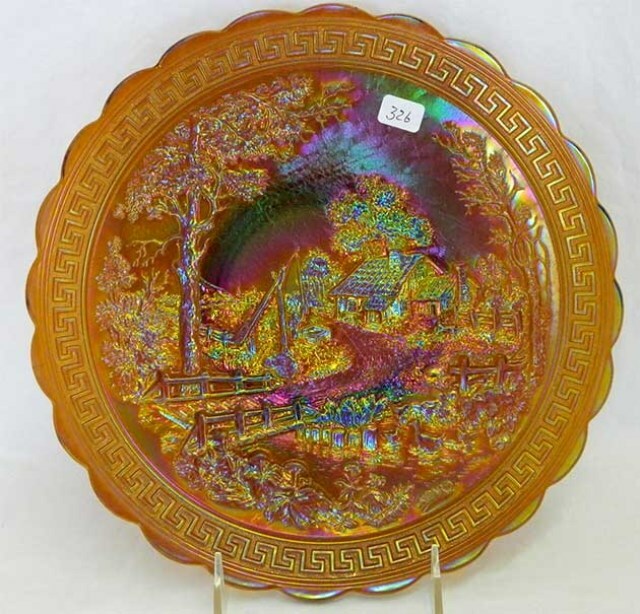 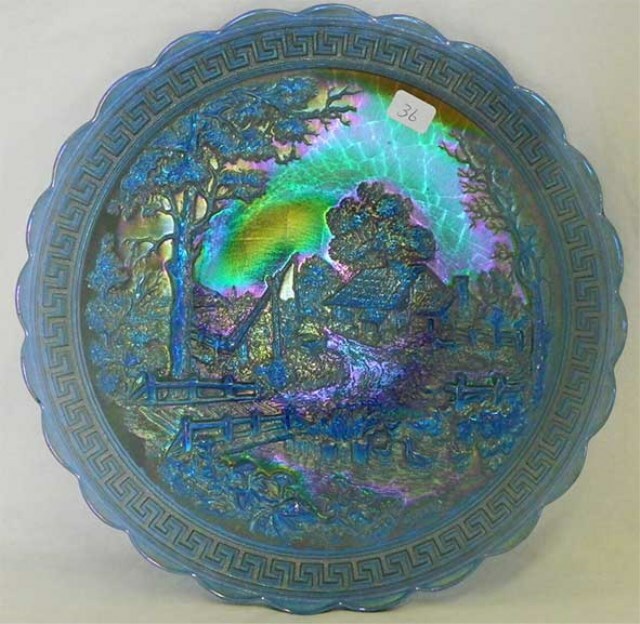 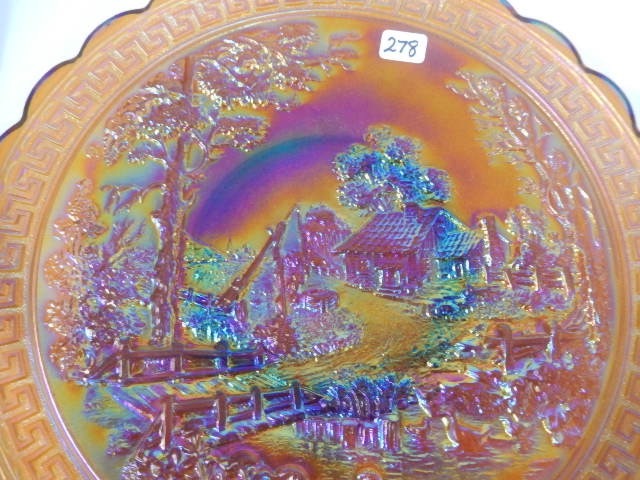 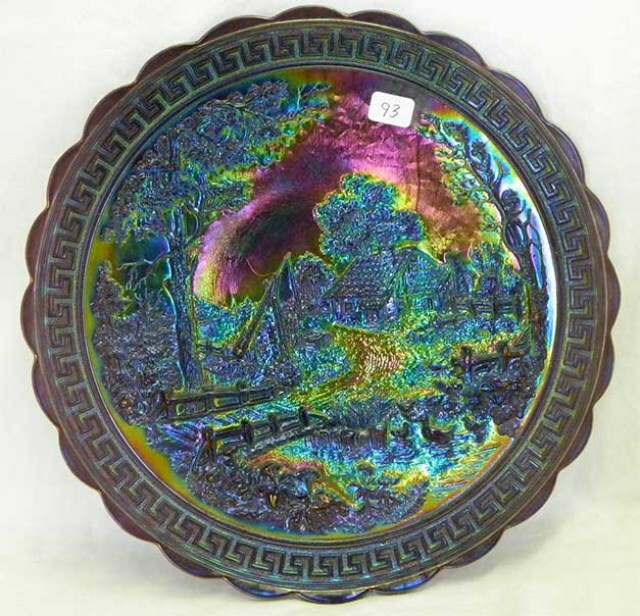 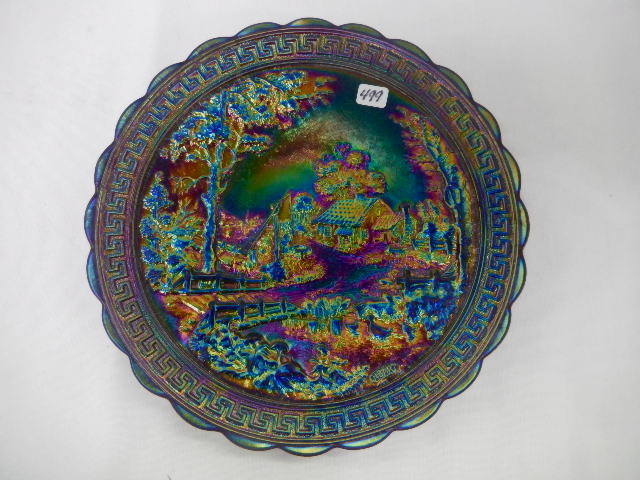 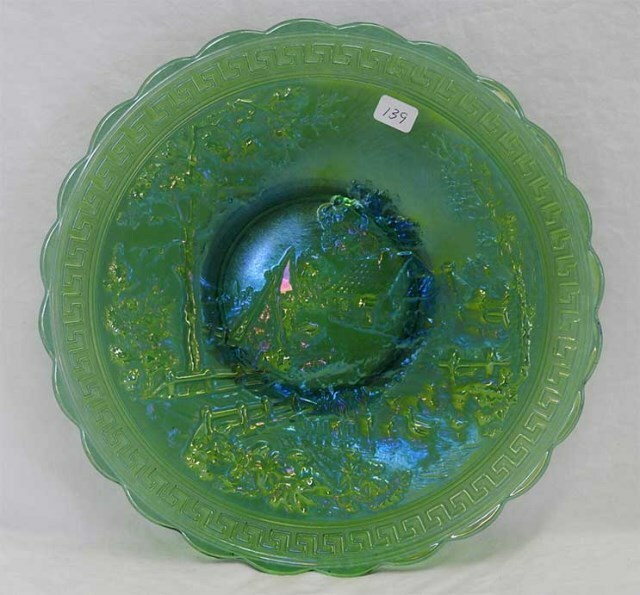 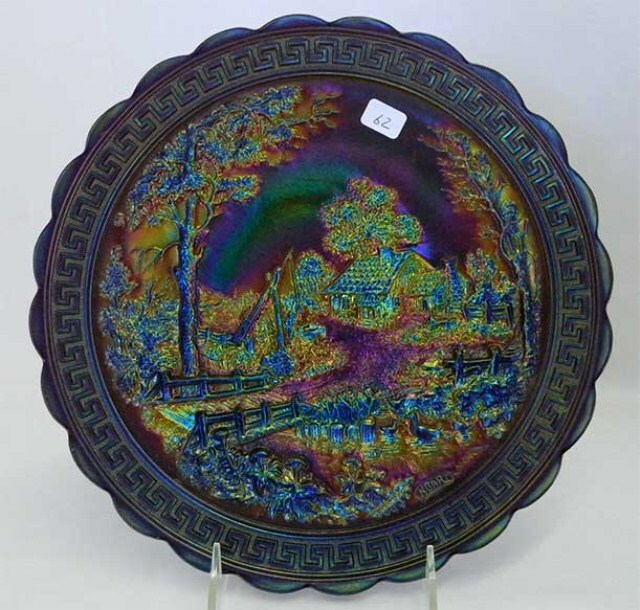 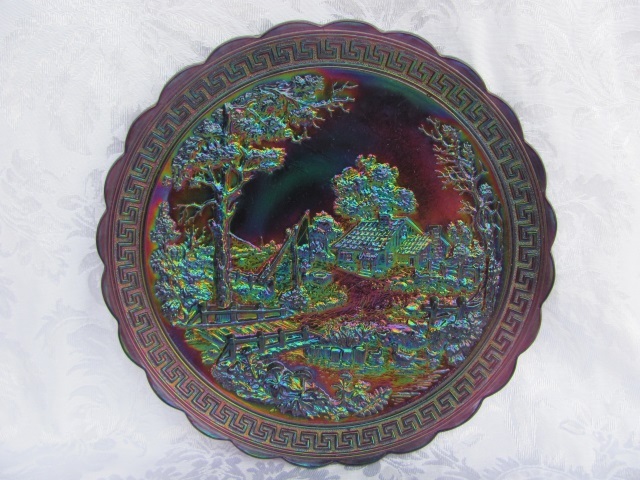 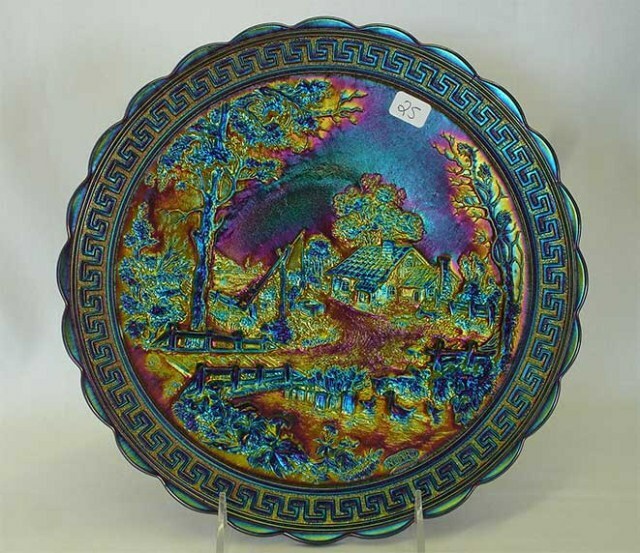 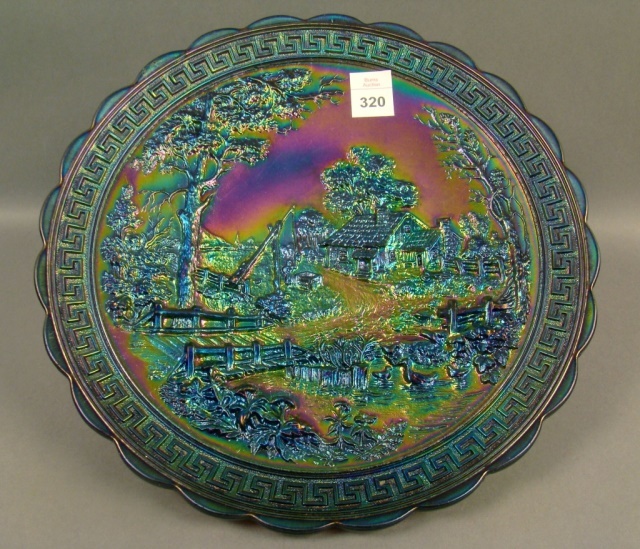 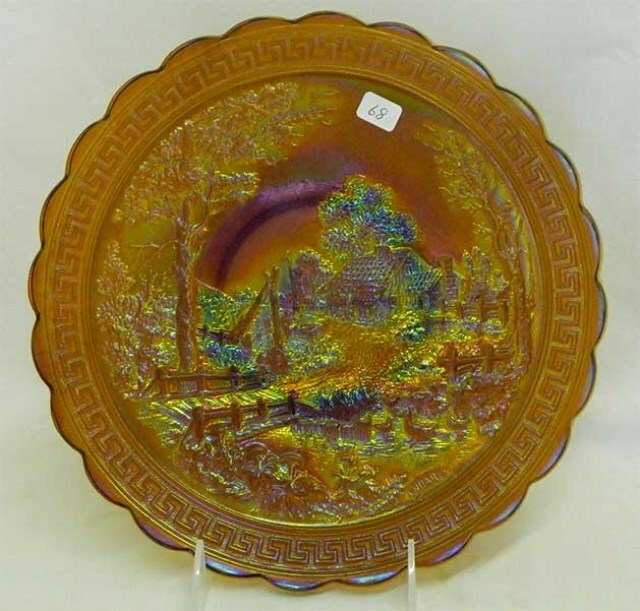 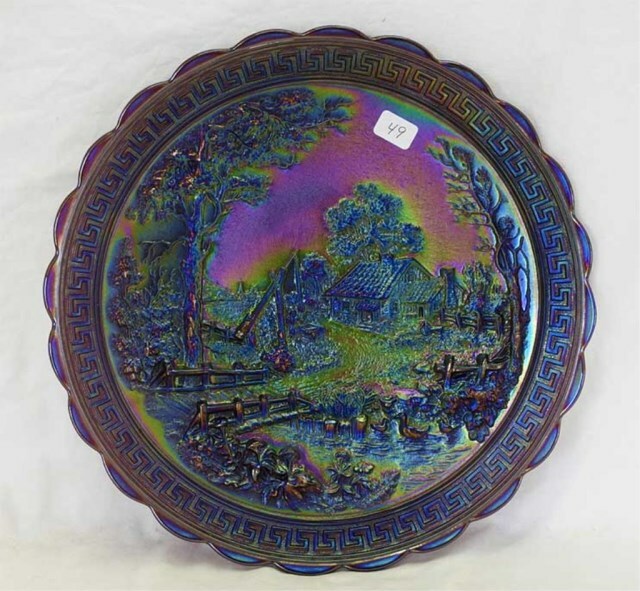 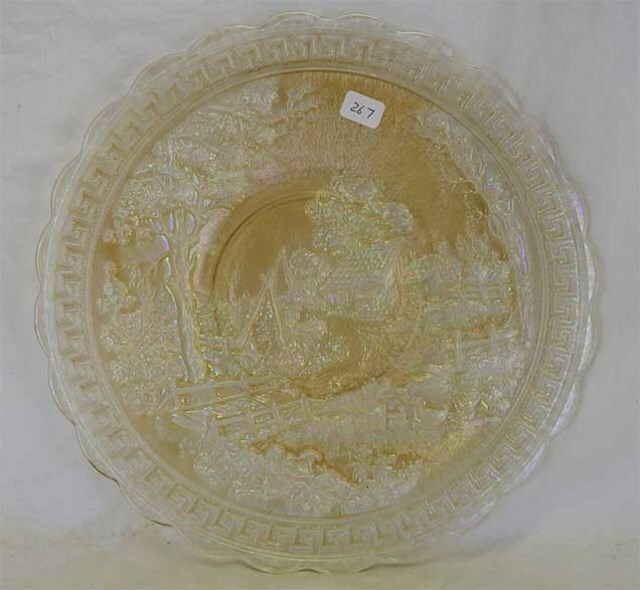 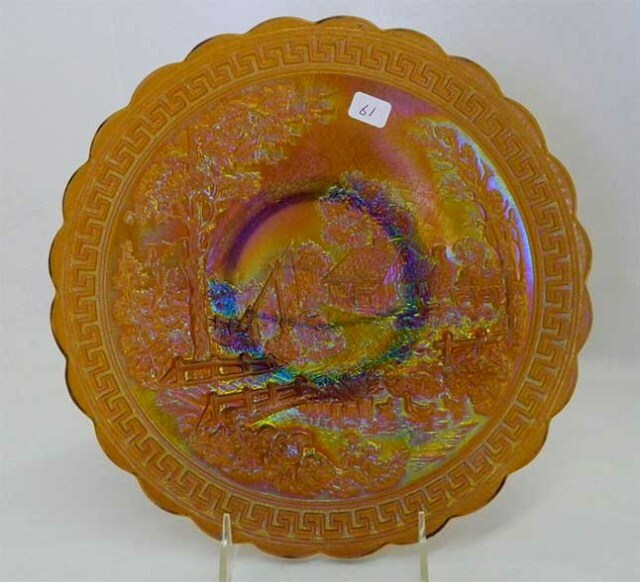 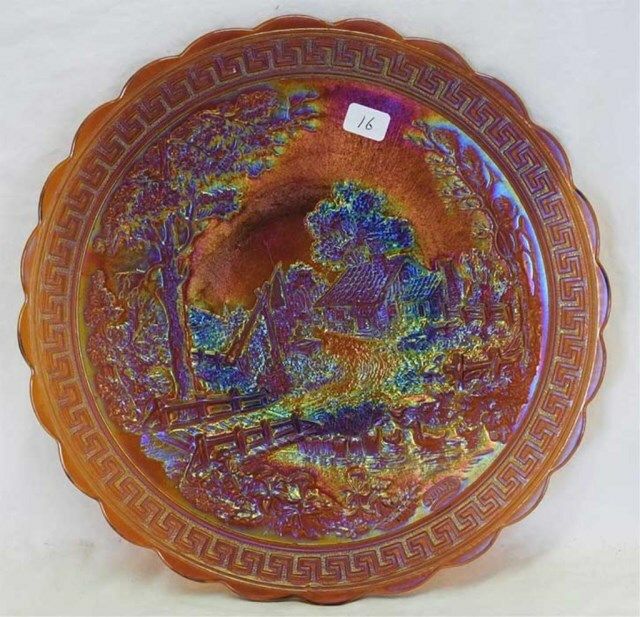 Pattern Description: Large flat plate with a rustic scene of a house, well, bridge and stream complete with ducks. 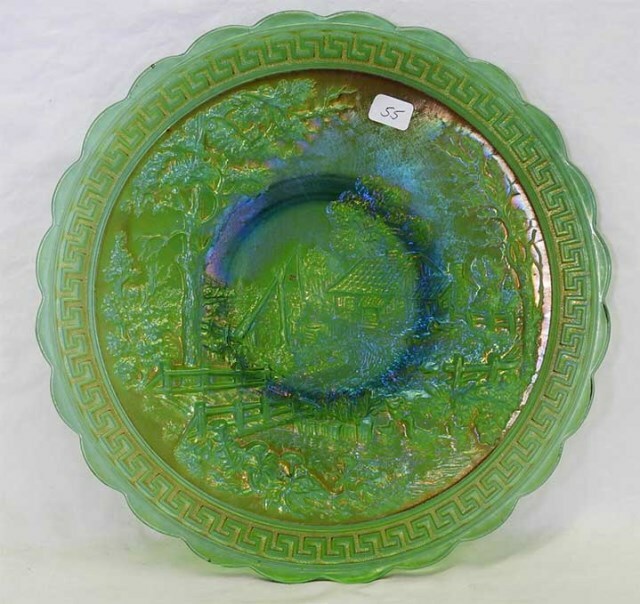 The outer edge has a greek key design and the edge is scalloped. 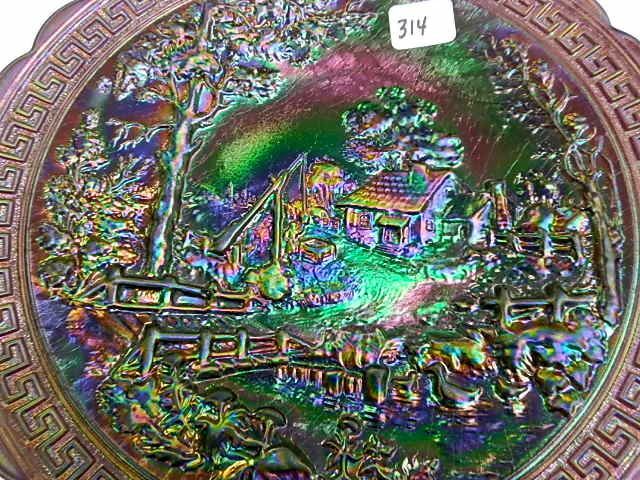 May or may not be signed "Nuart". 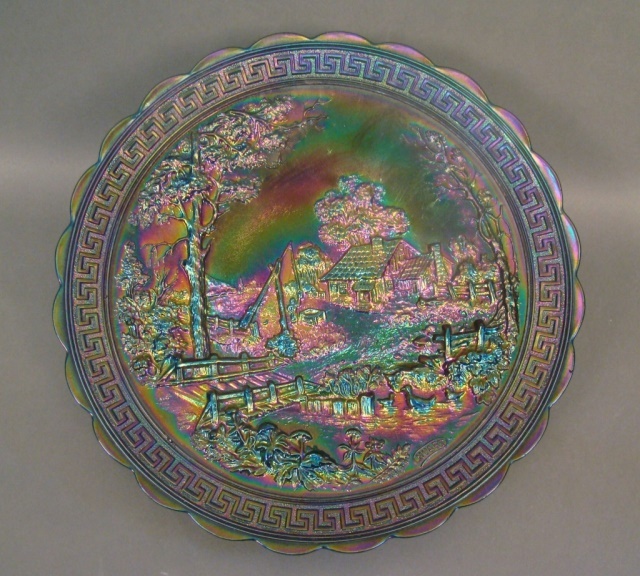 Older versions have a ribbed back.